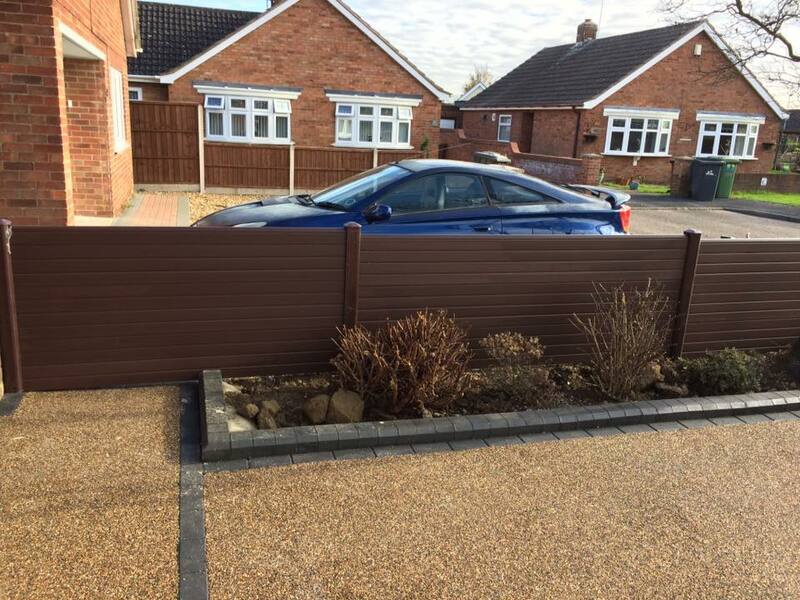 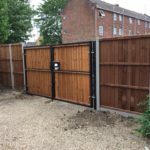 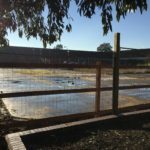 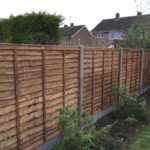 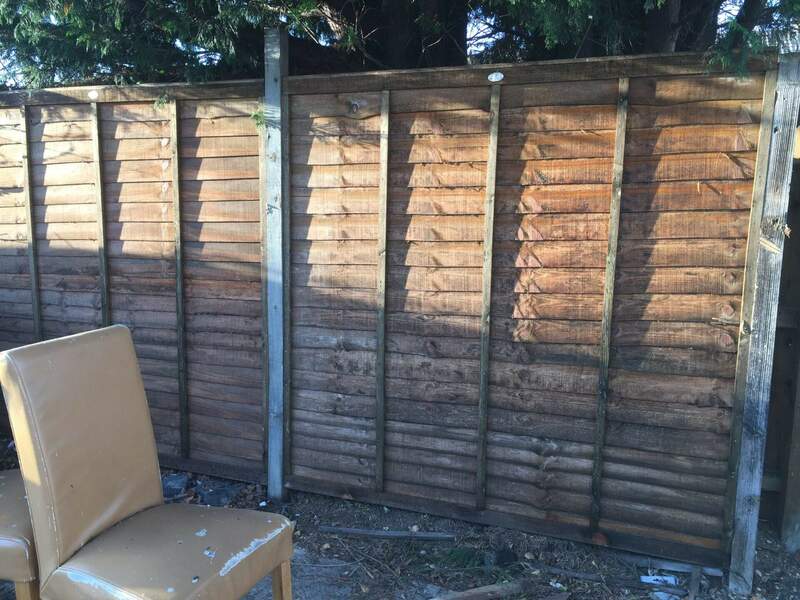 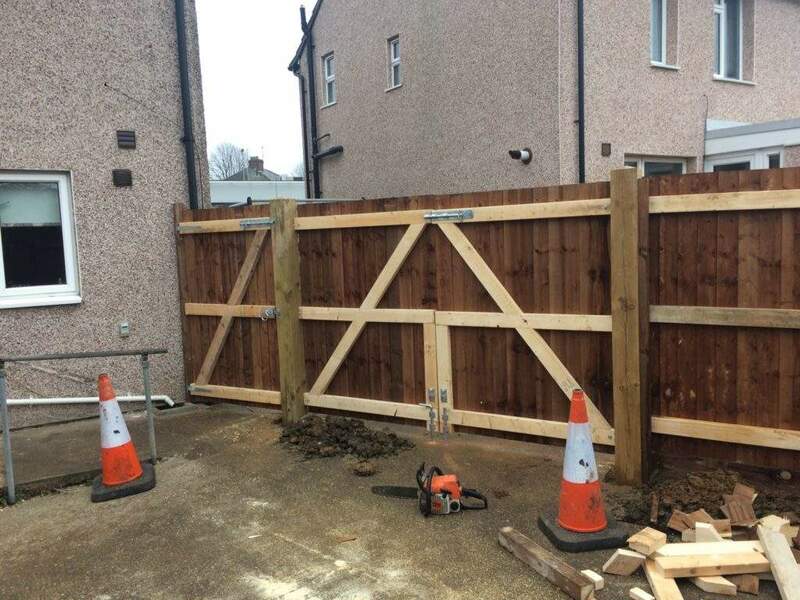 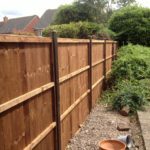 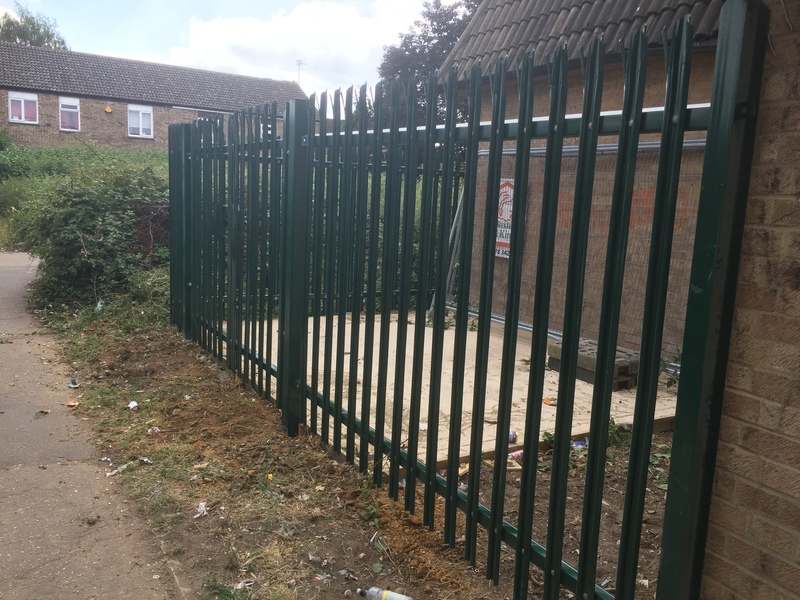 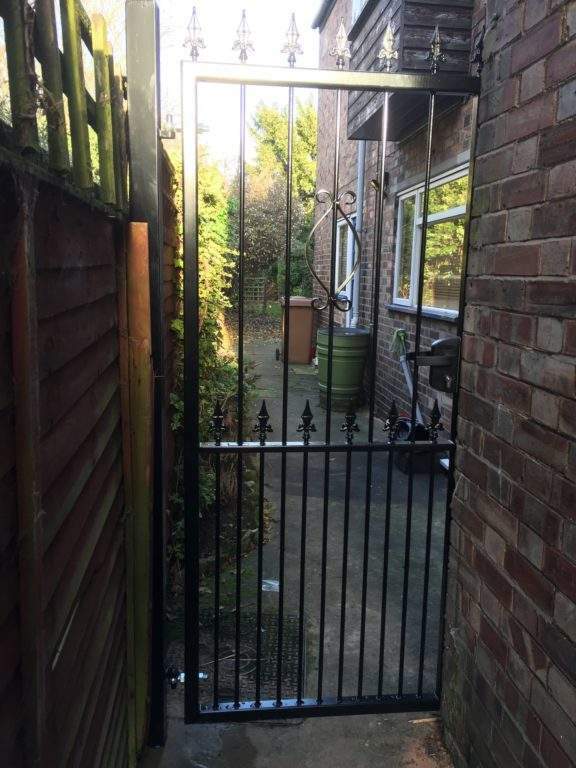 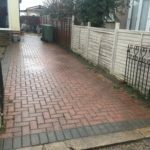 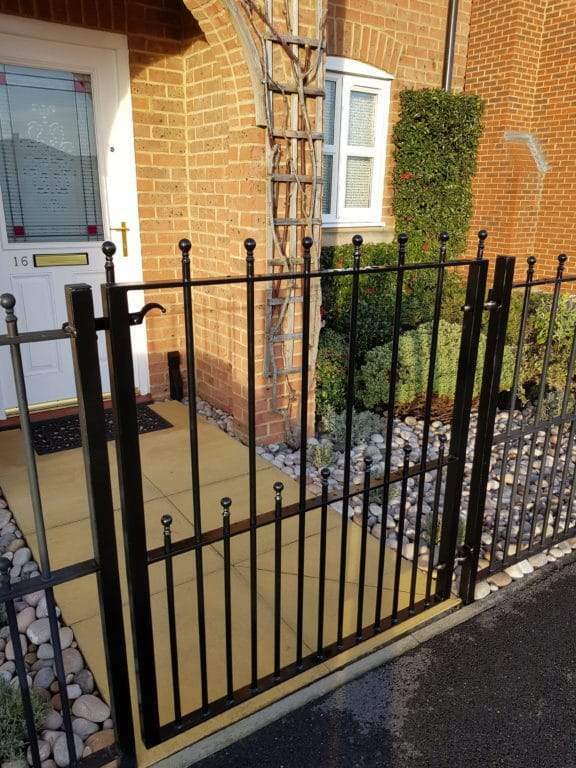 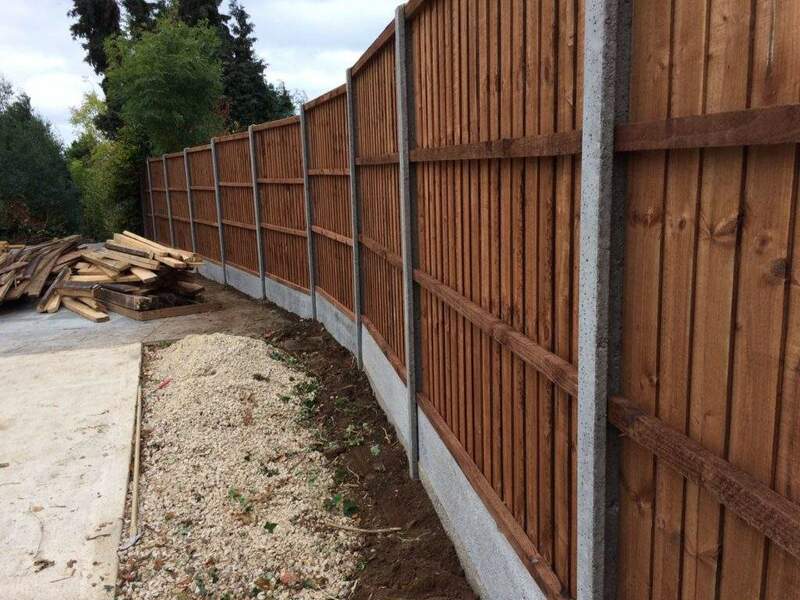 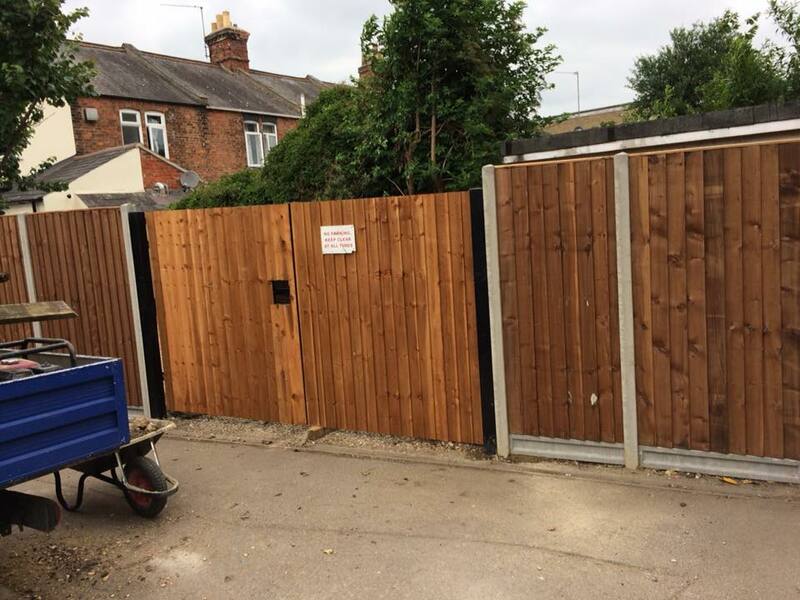 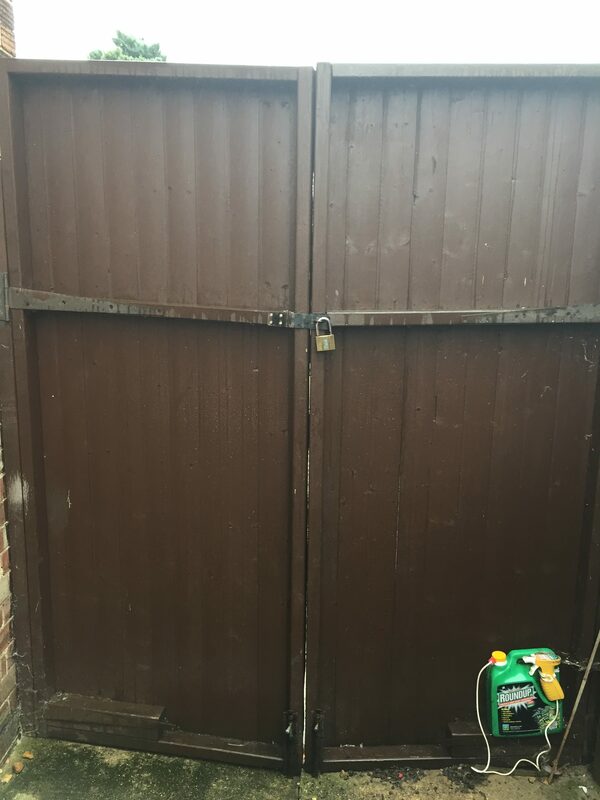 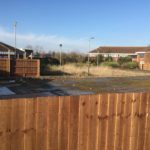 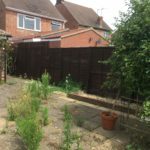 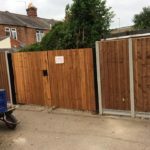 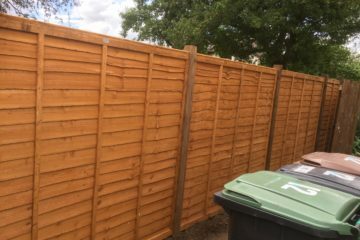 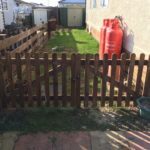 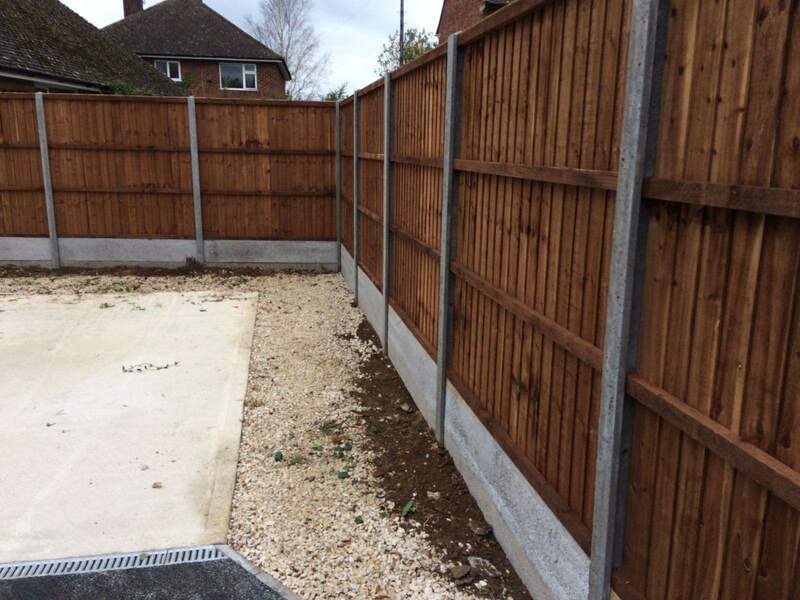 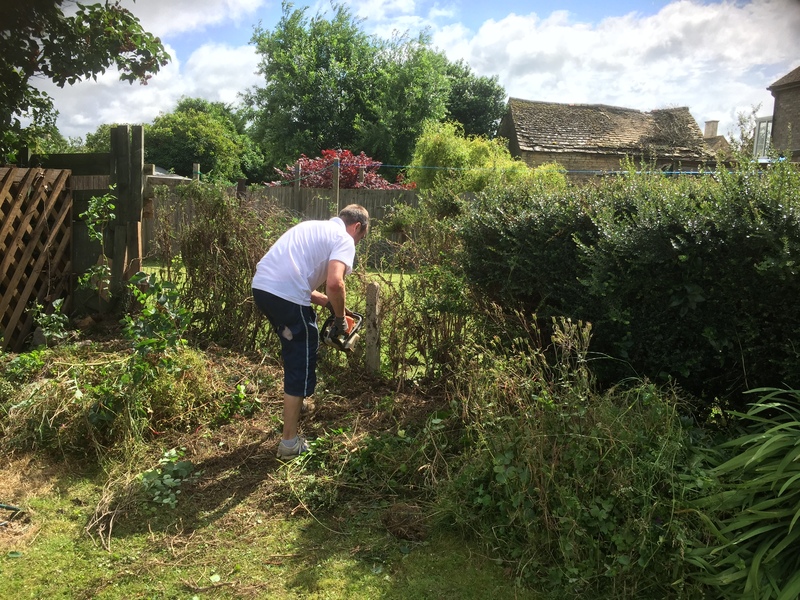 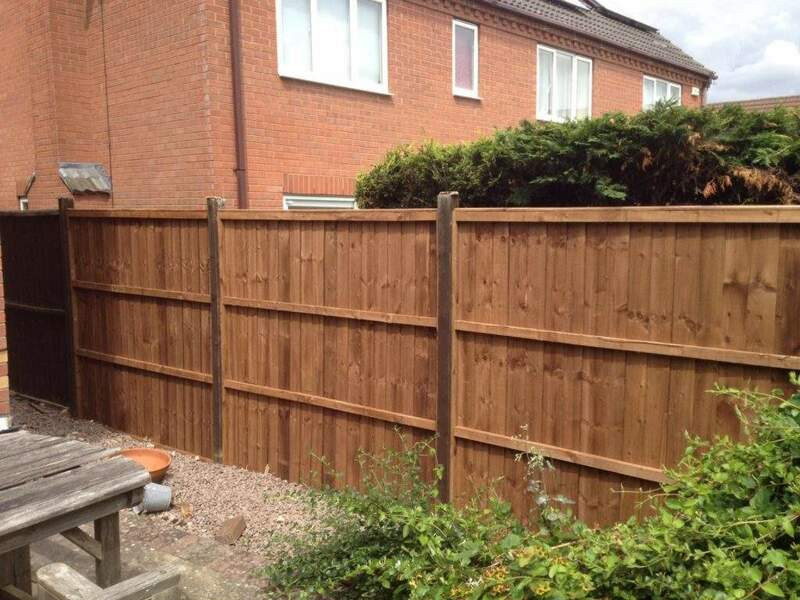 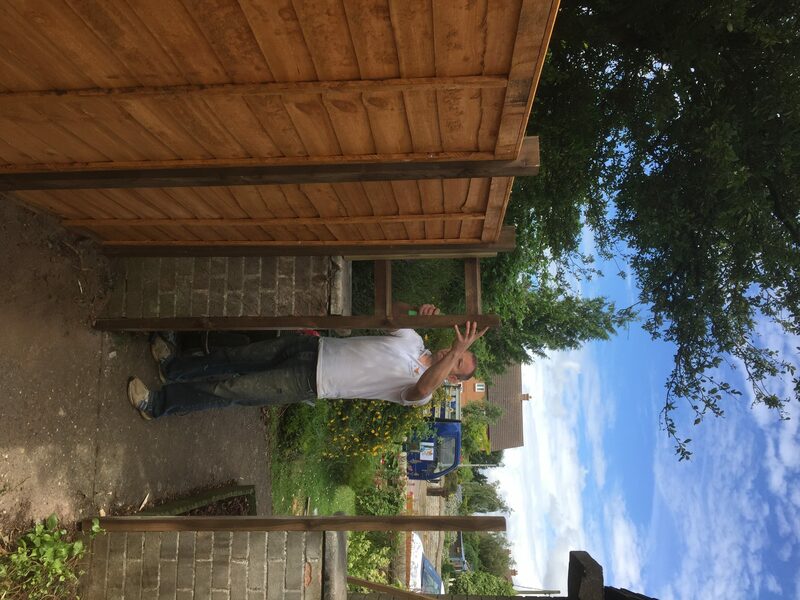 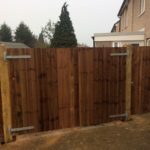 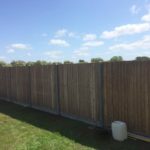 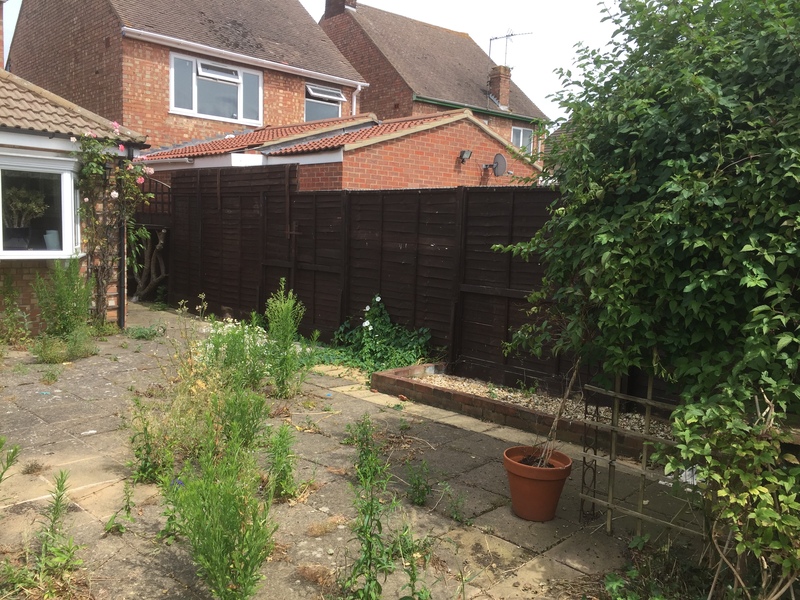 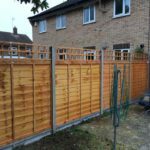 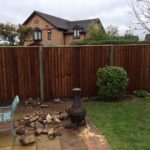 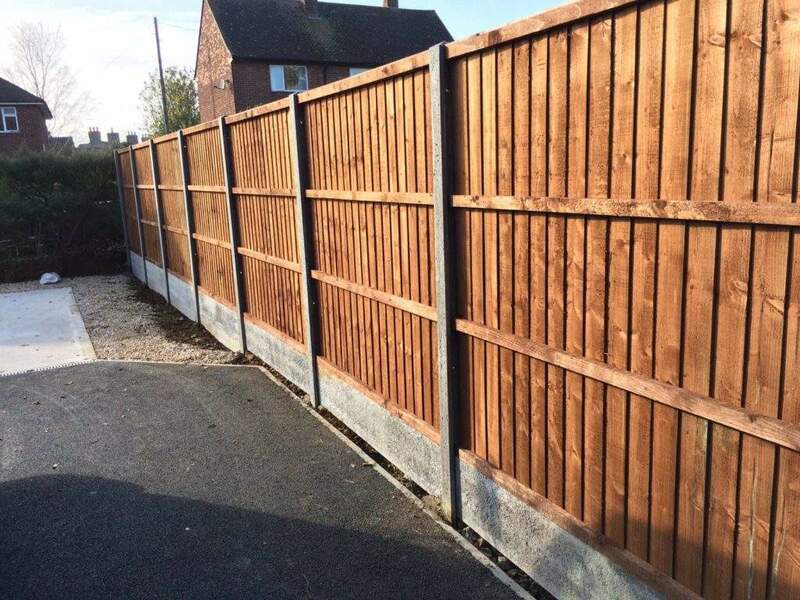 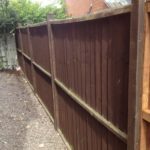 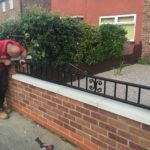 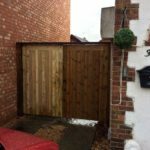 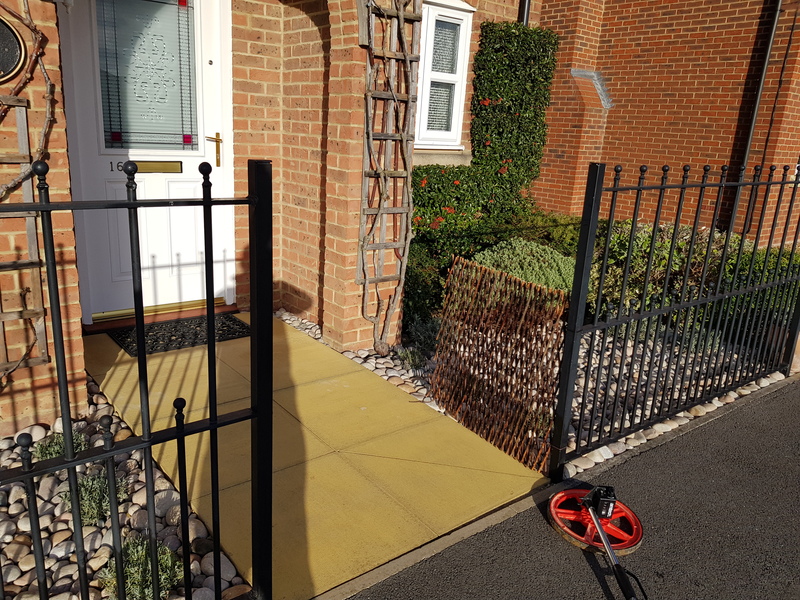 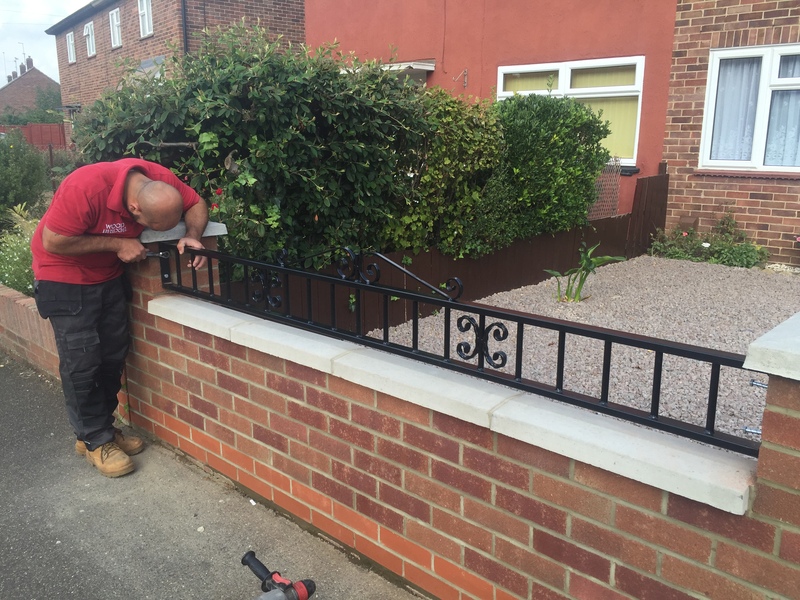 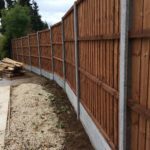 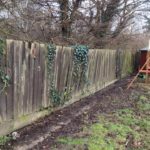 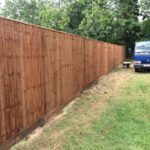 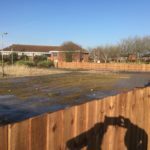 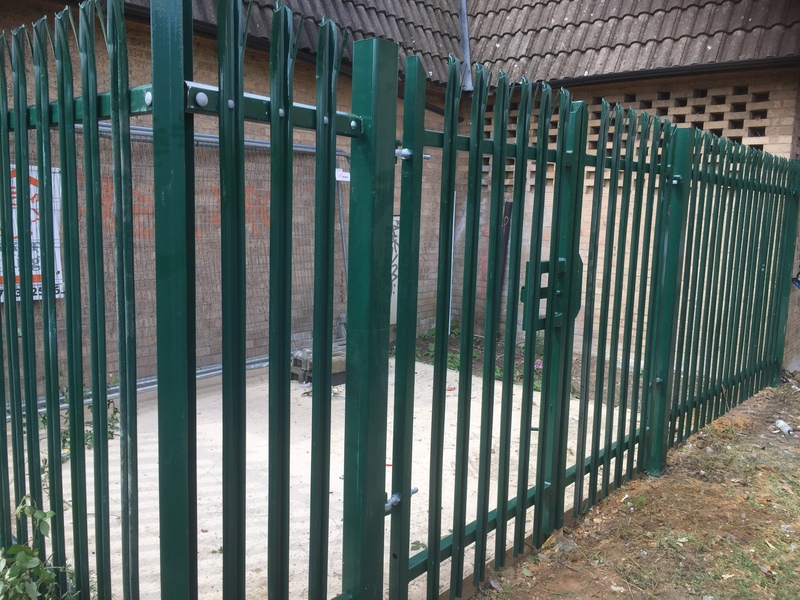 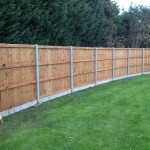 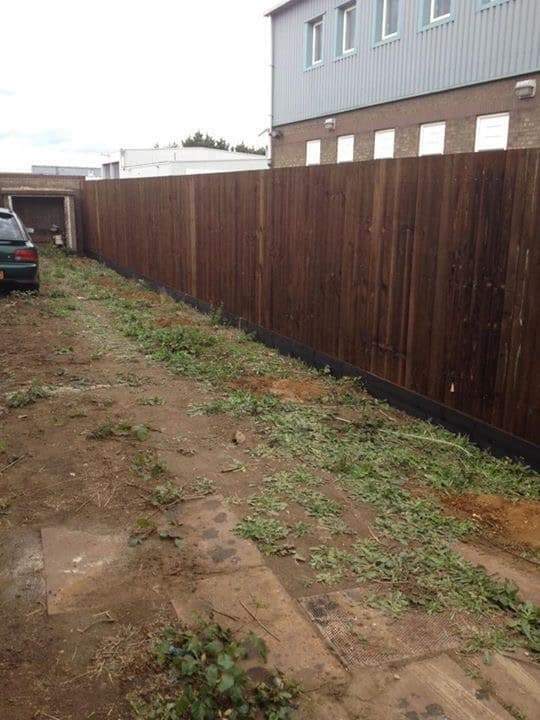 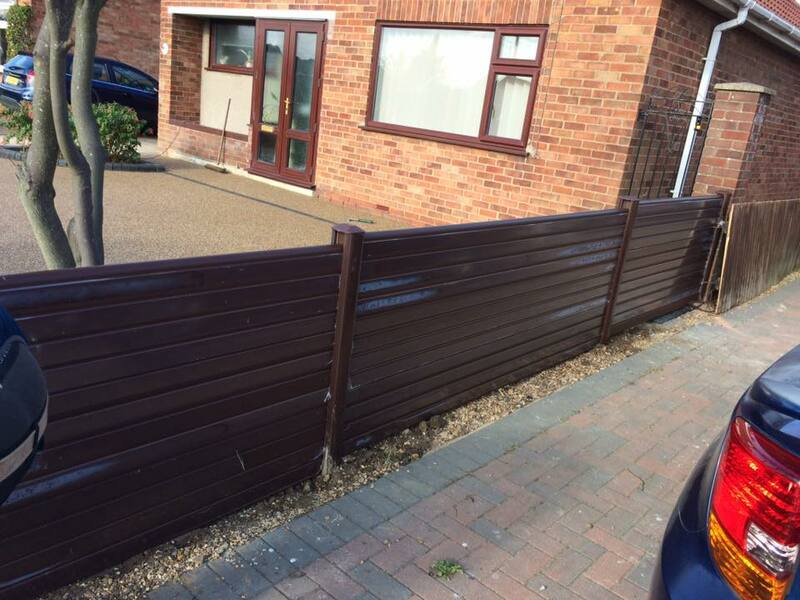 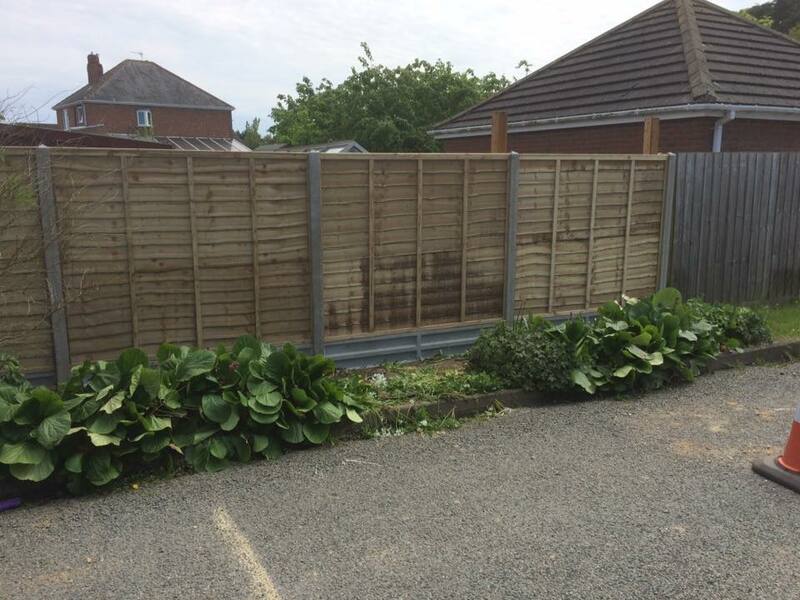 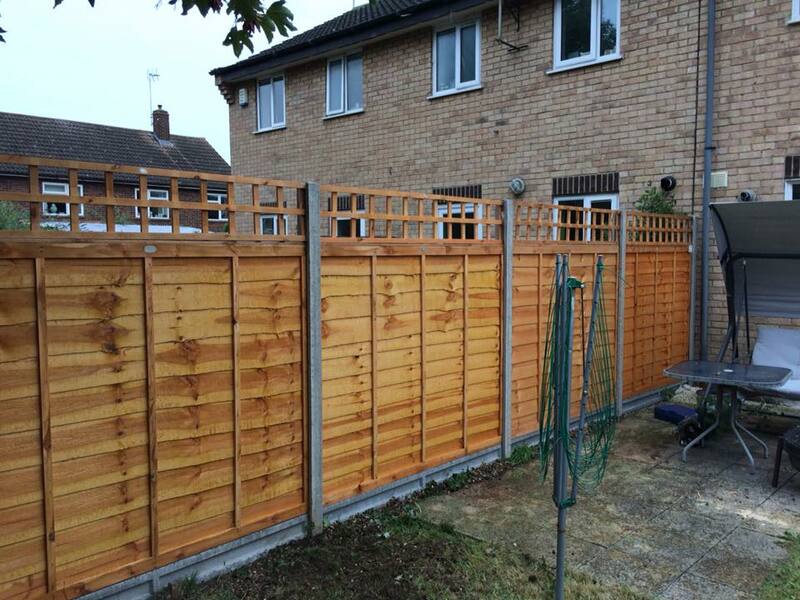 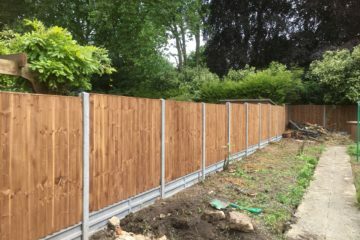 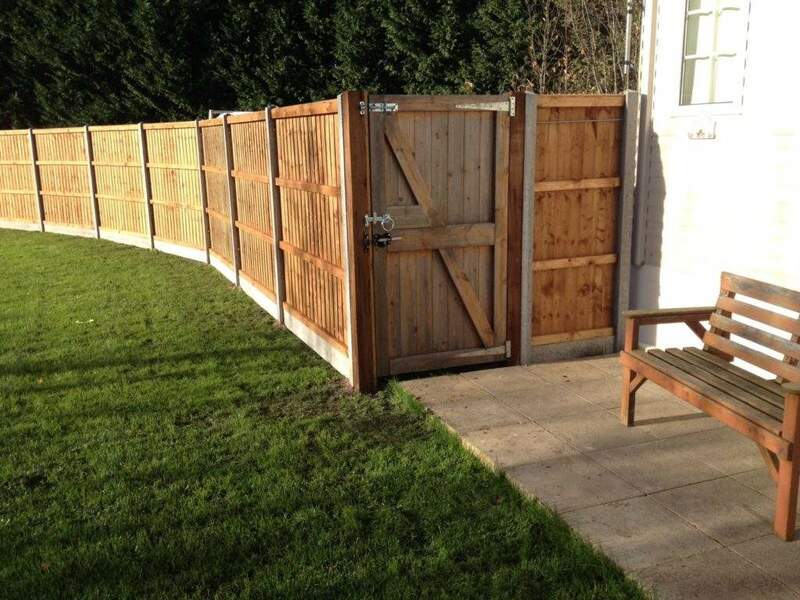 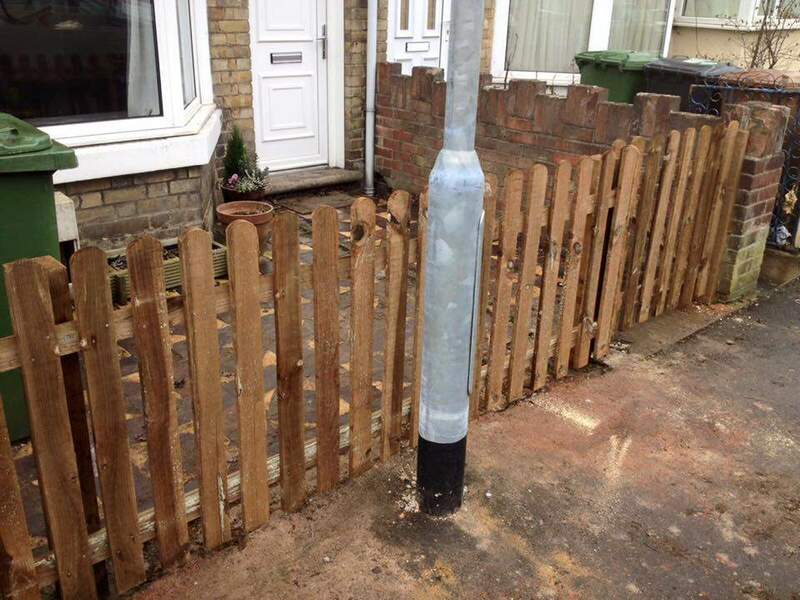 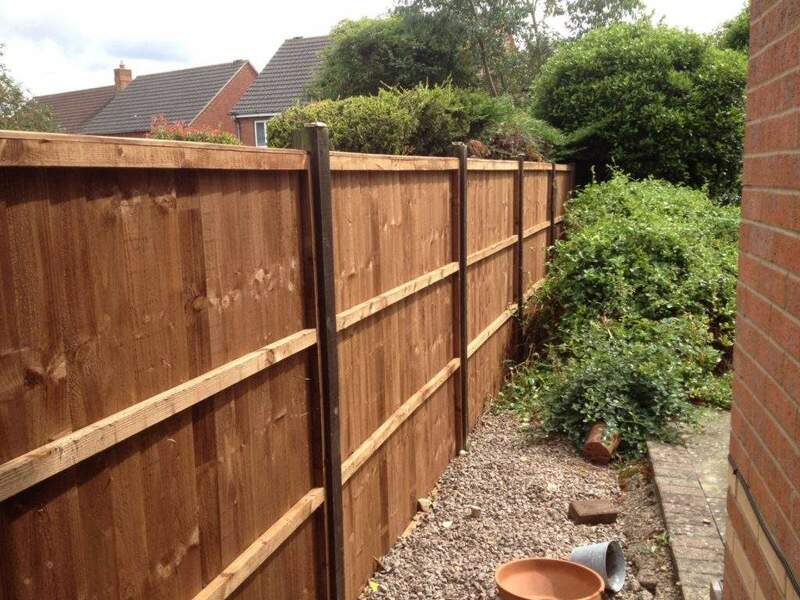 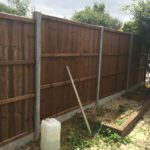 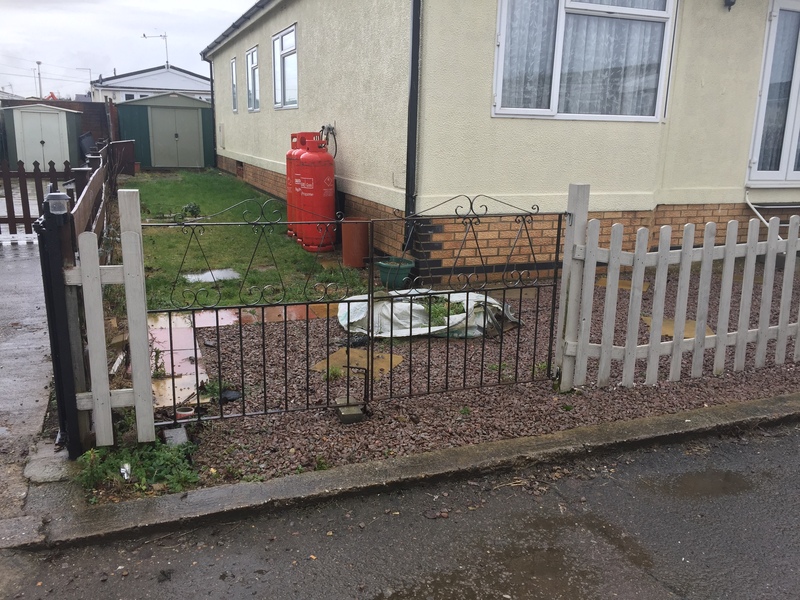 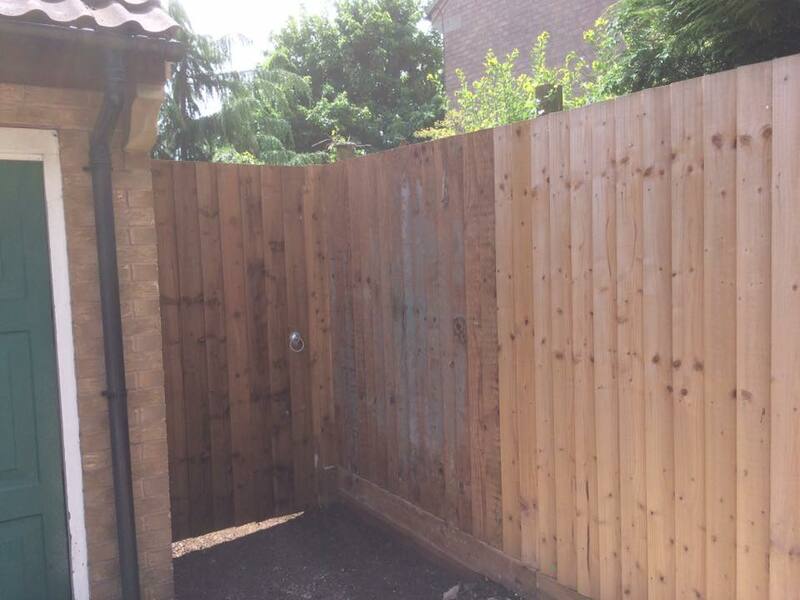 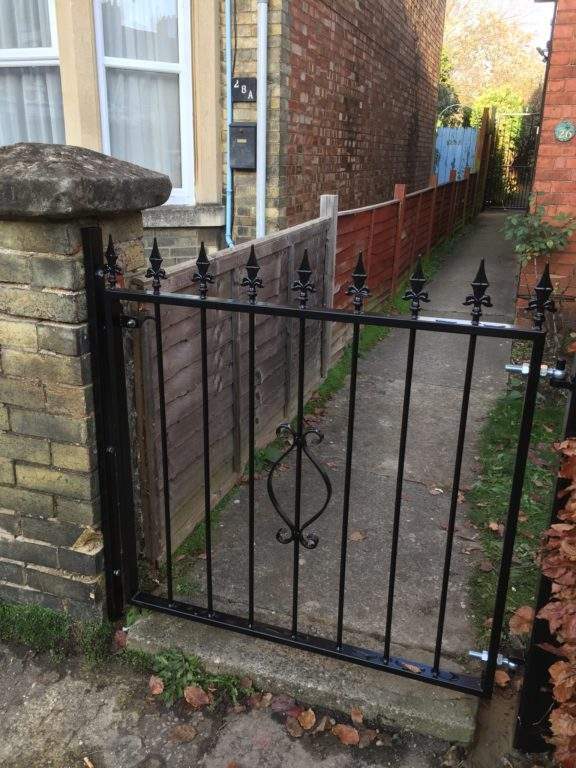 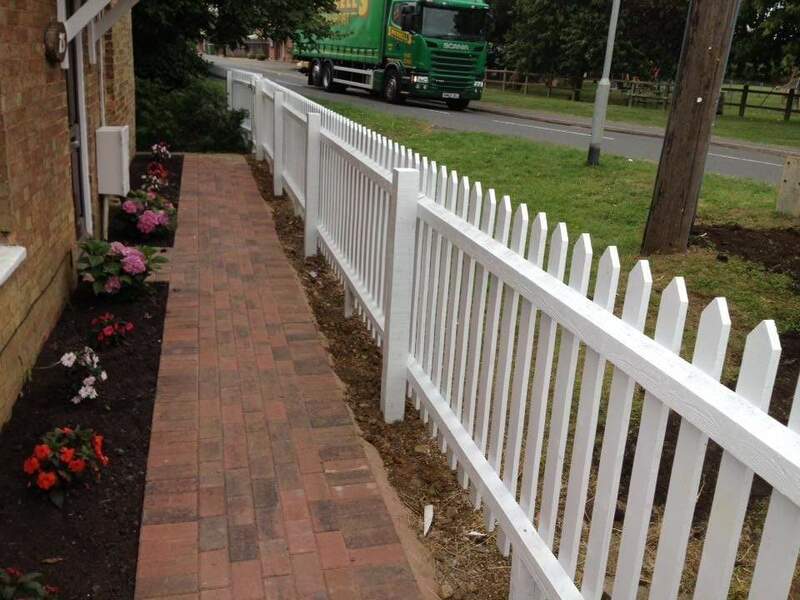 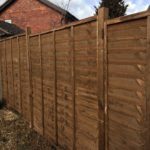 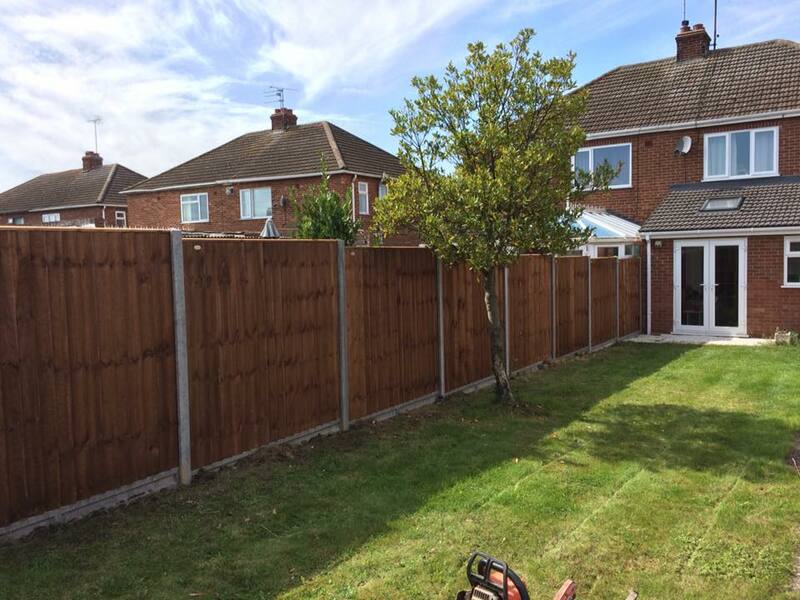 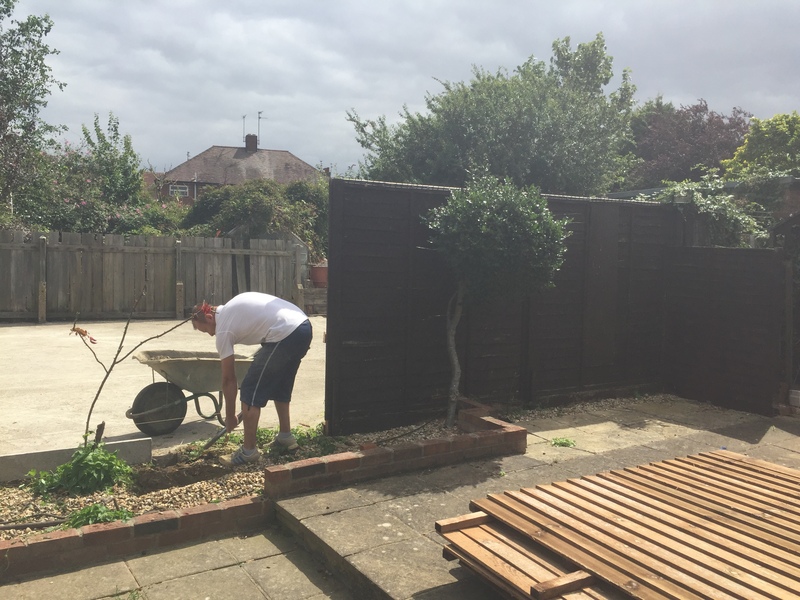 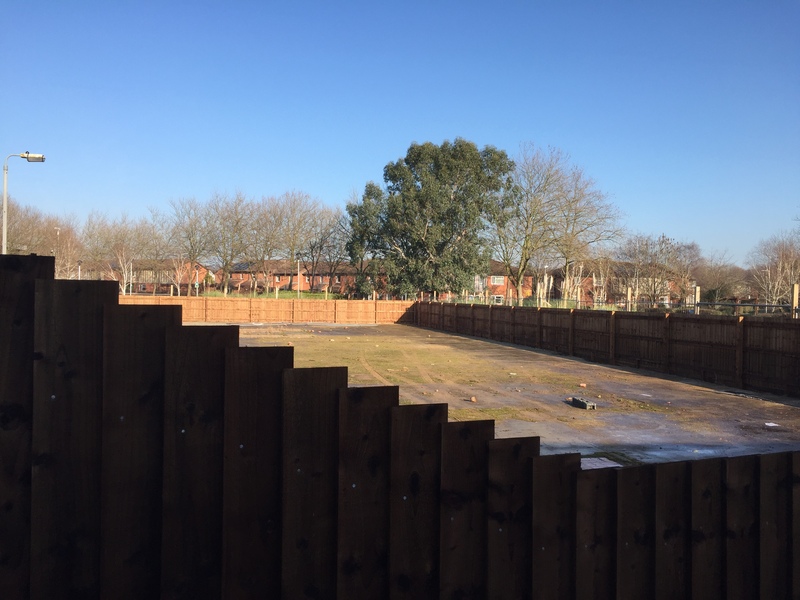 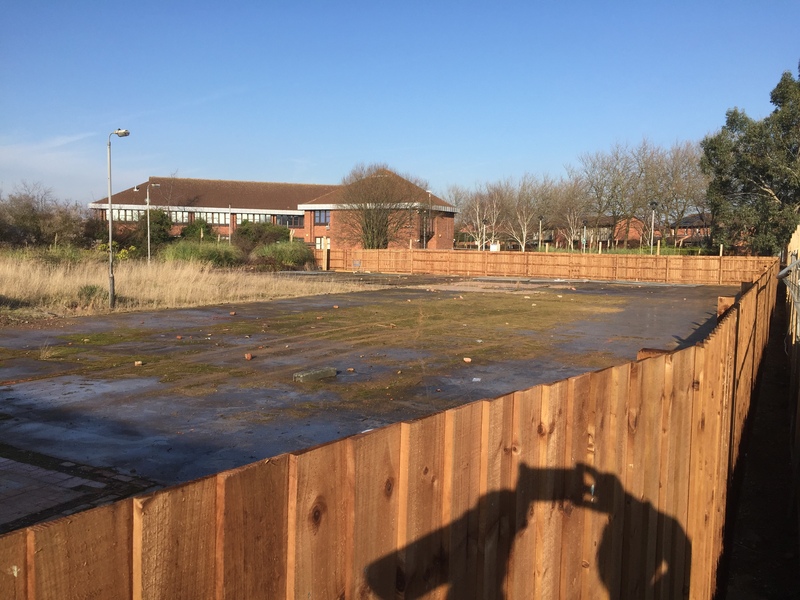 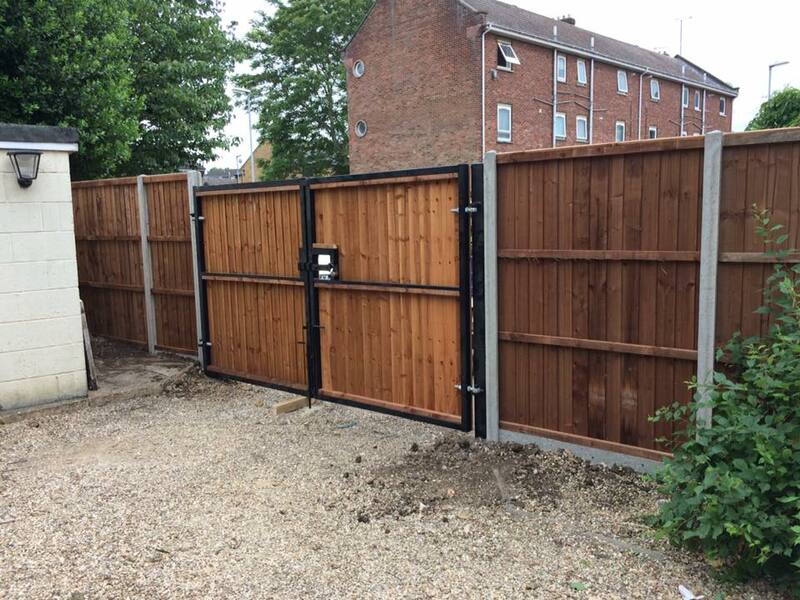 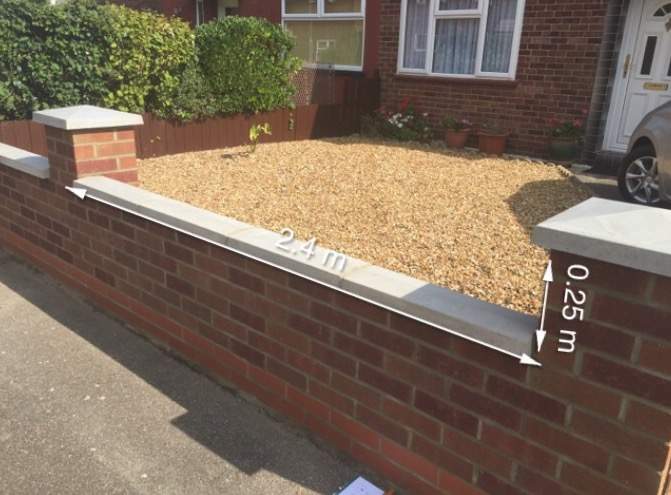 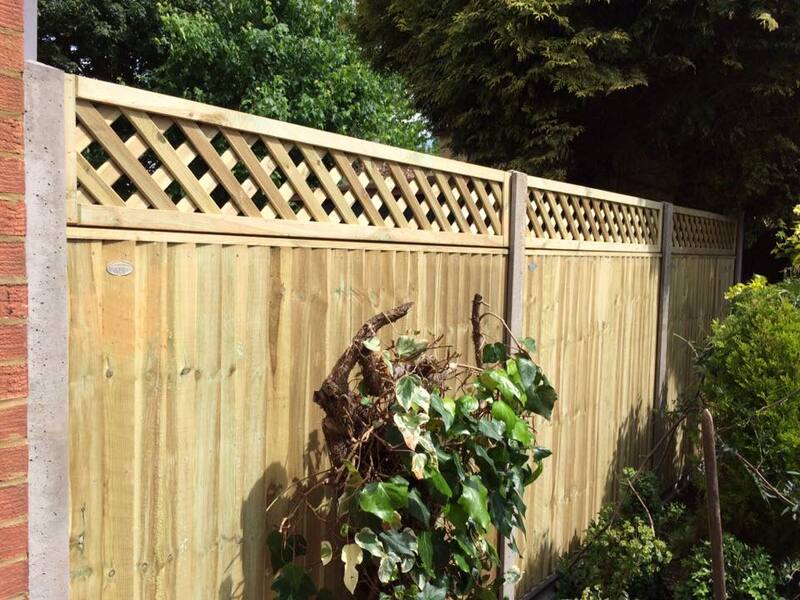 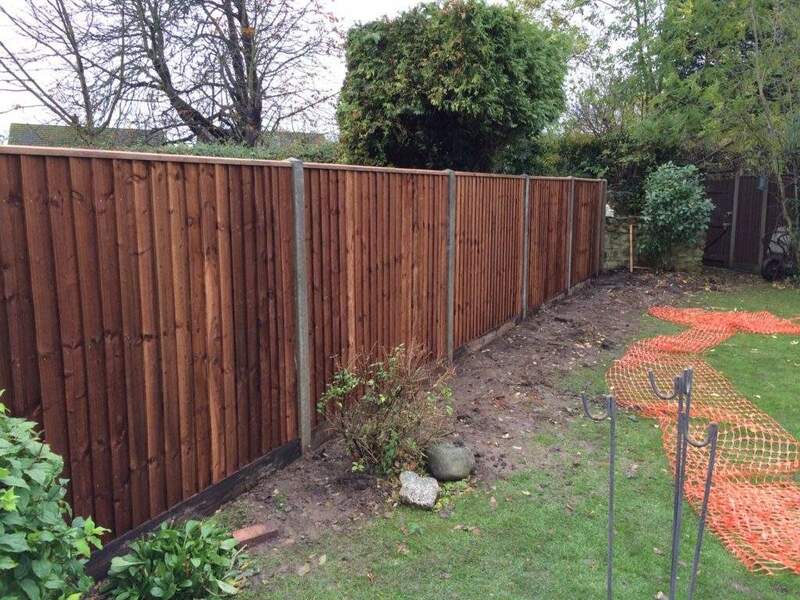 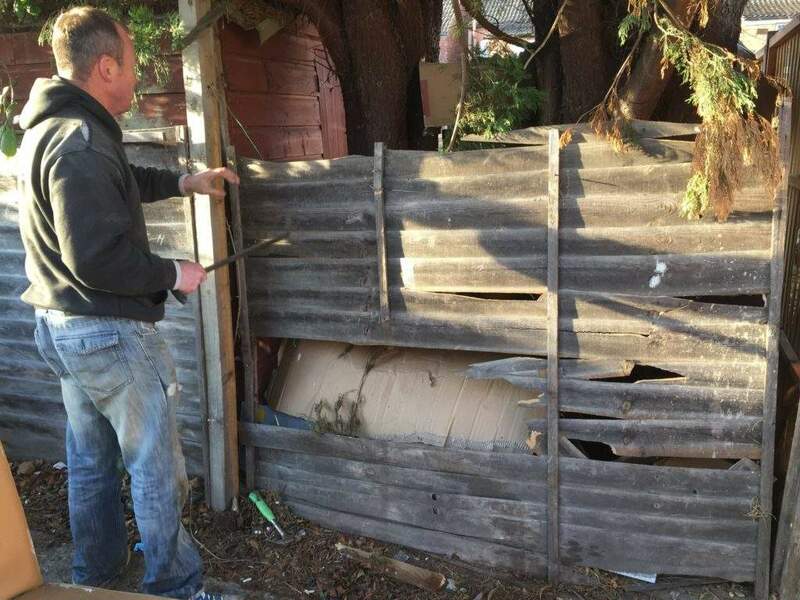 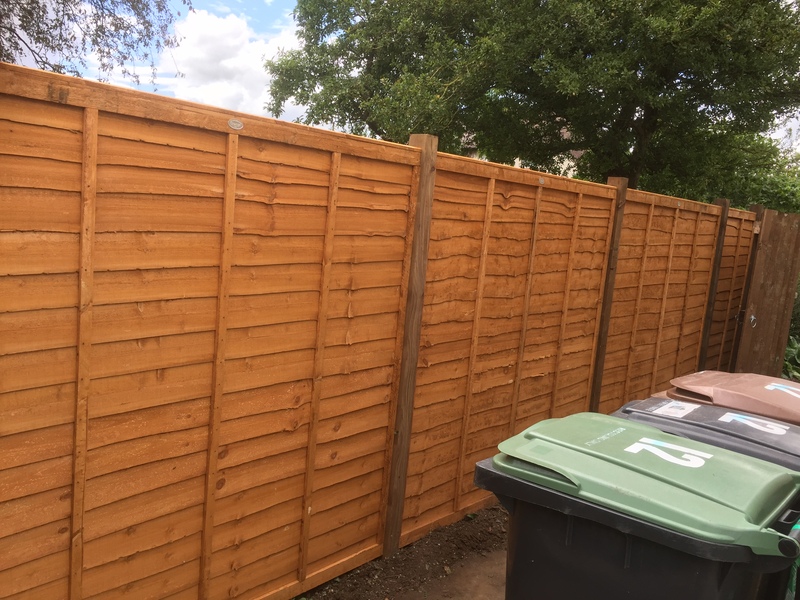 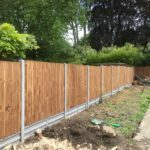 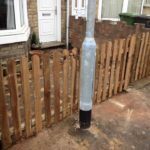 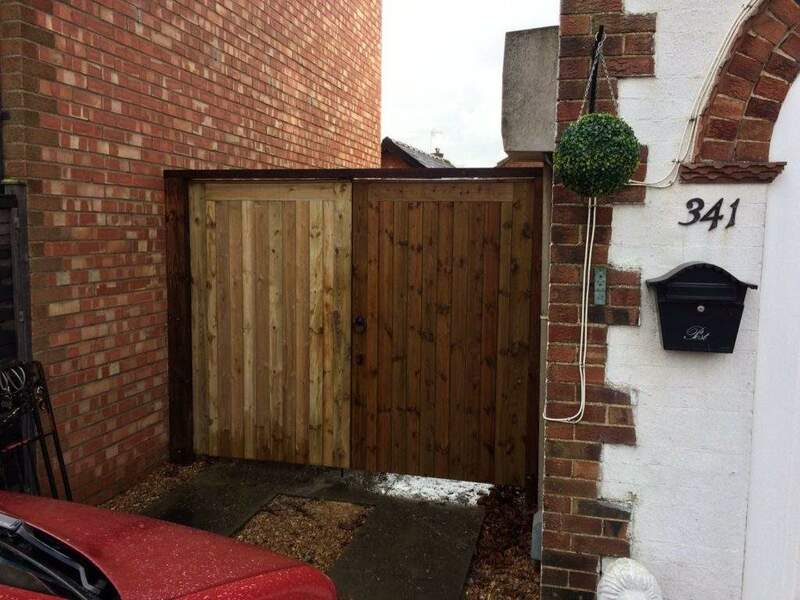 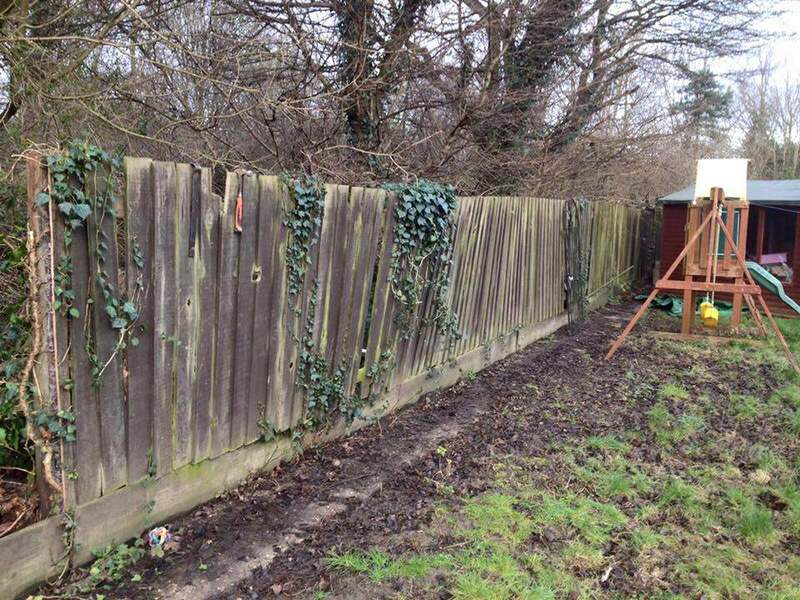 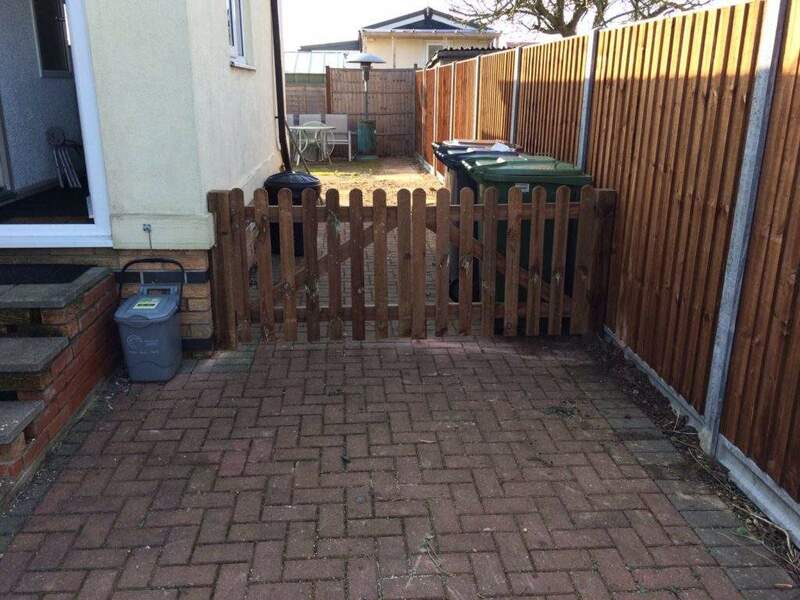 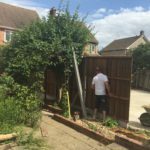 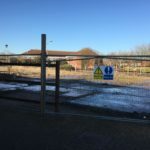 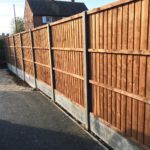 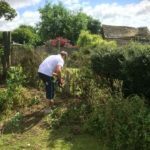 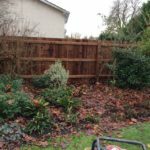 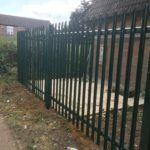 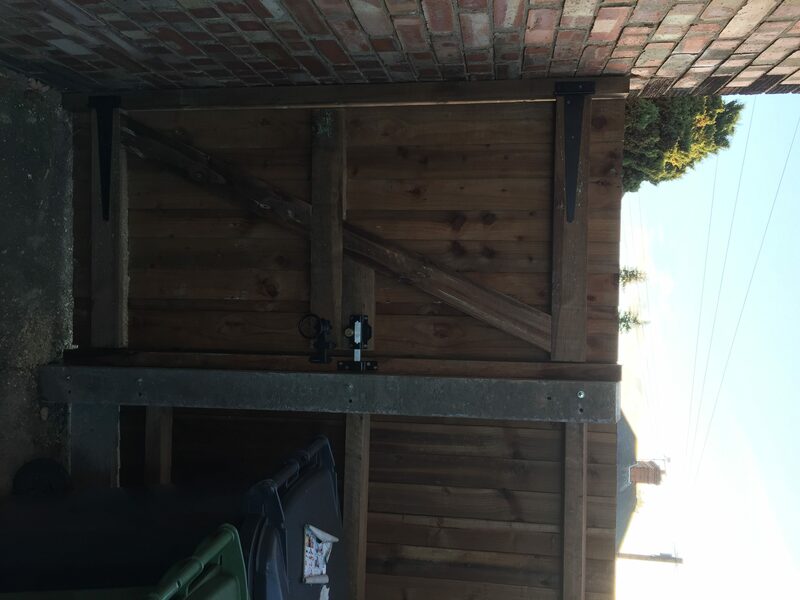 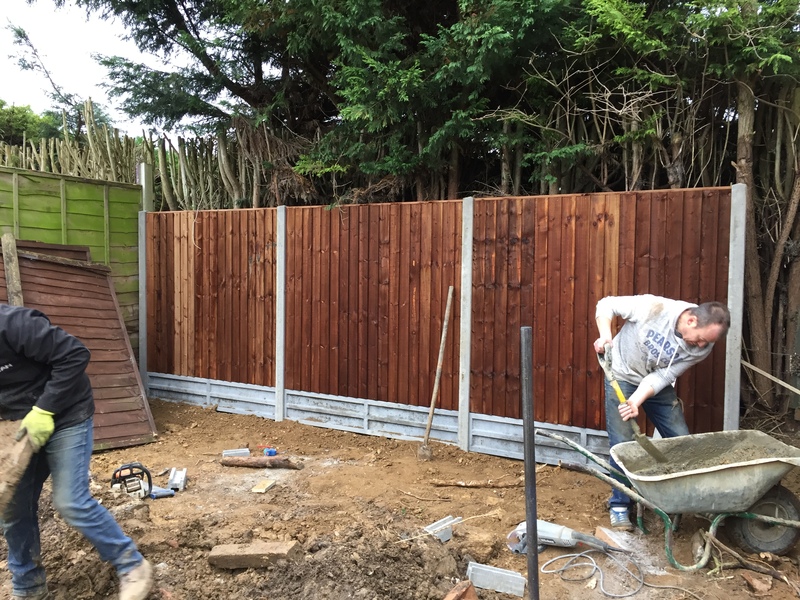 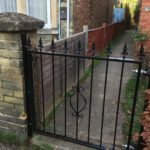 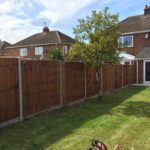 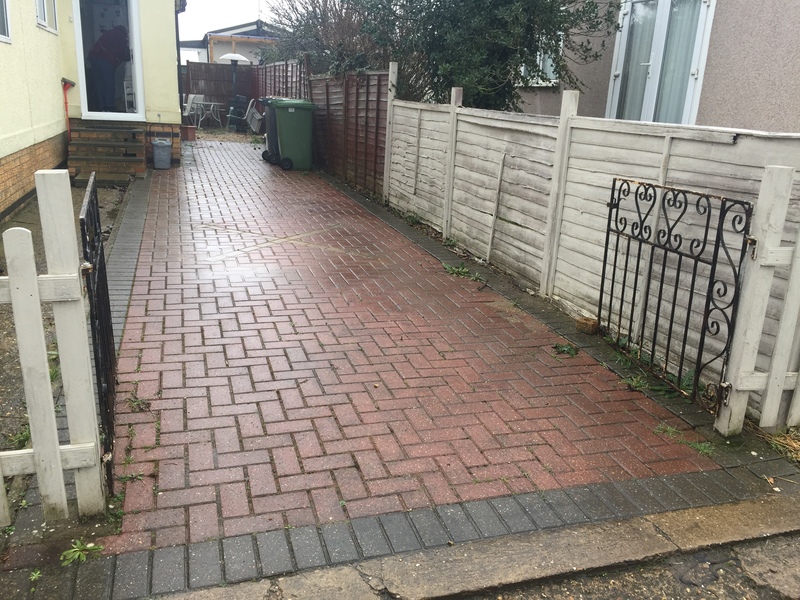 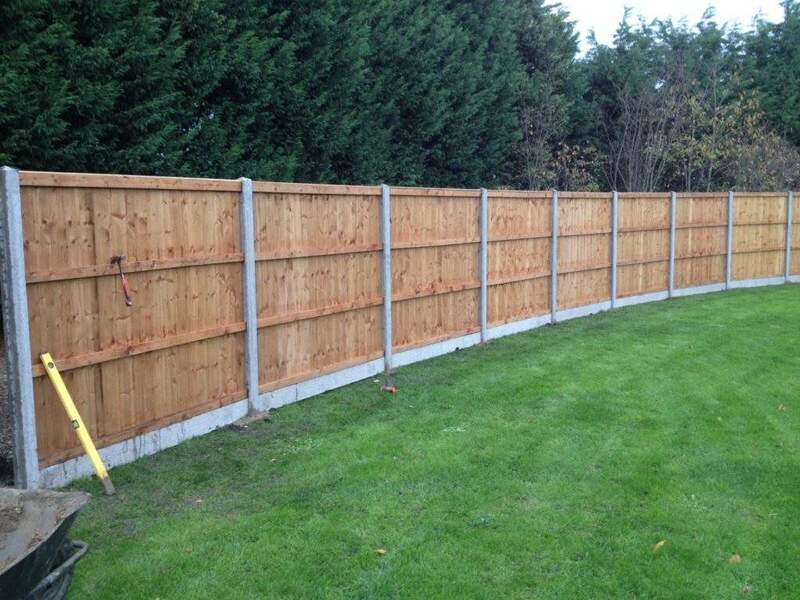 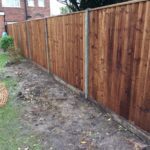 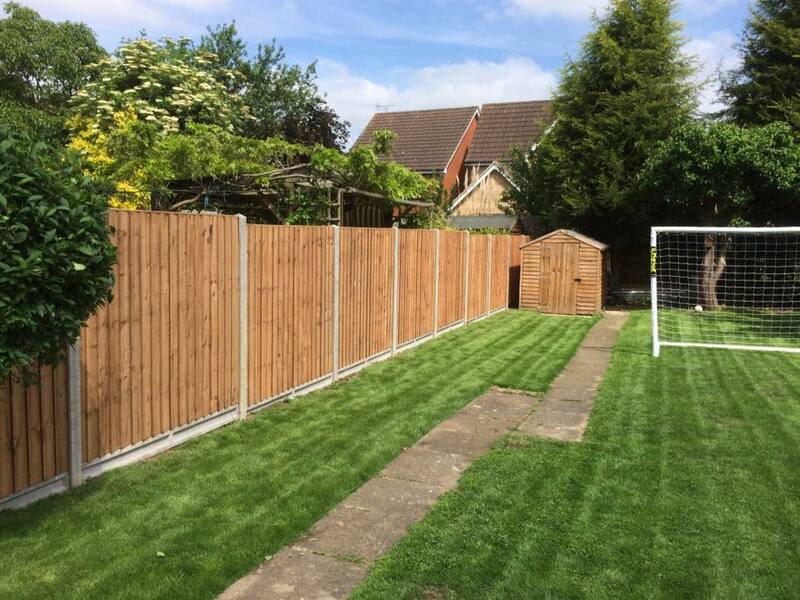 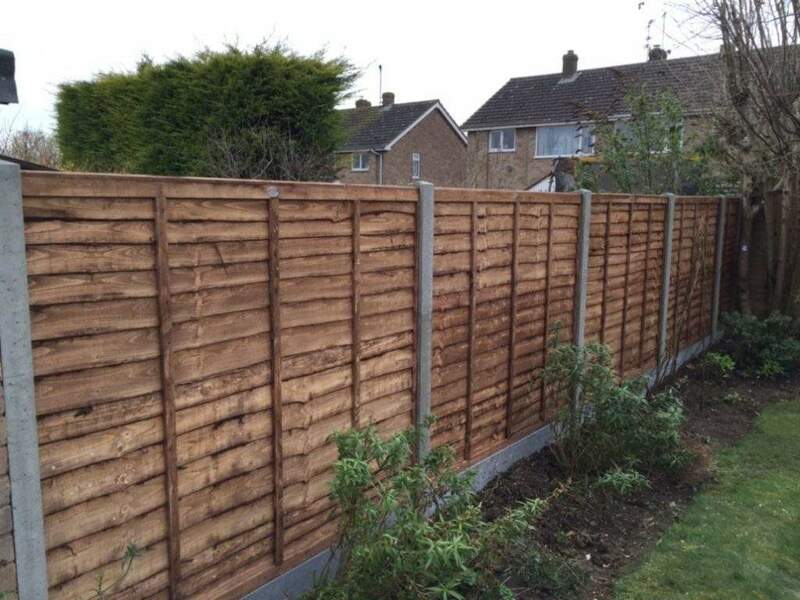 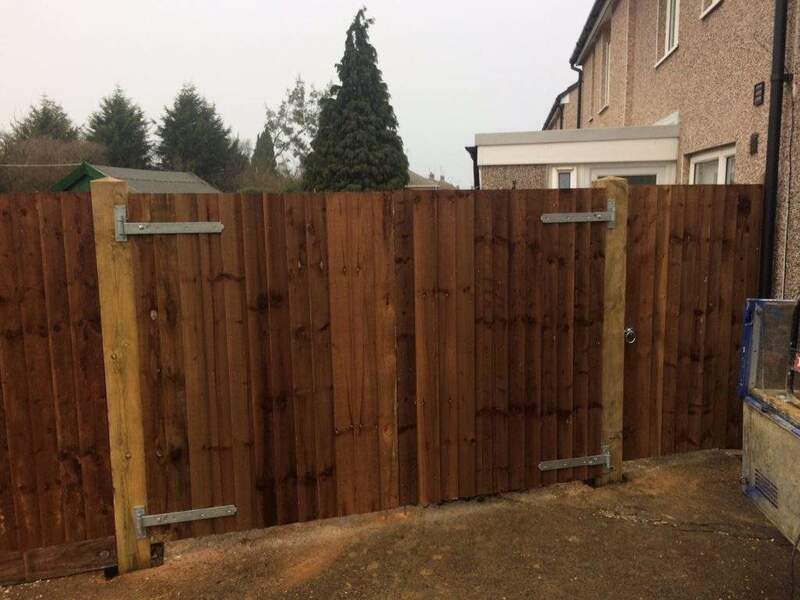 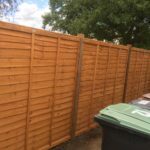 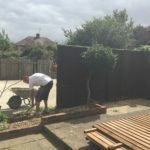 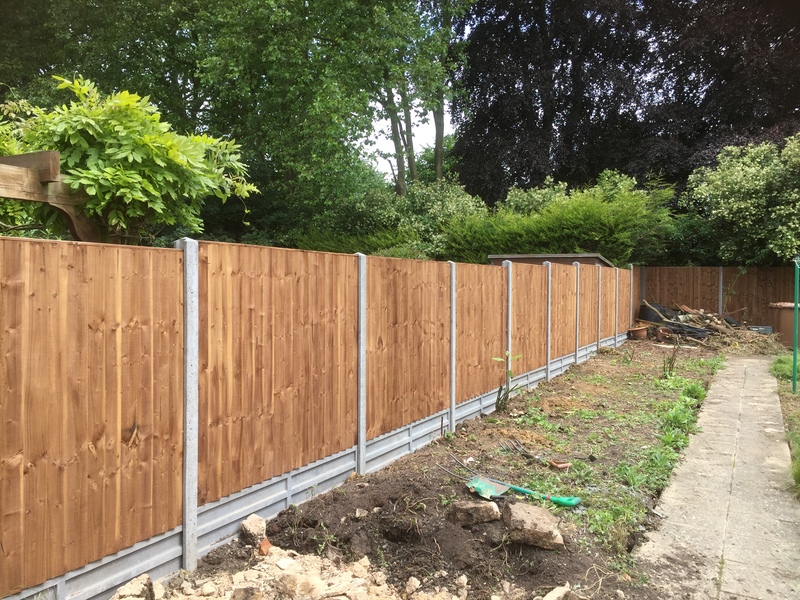 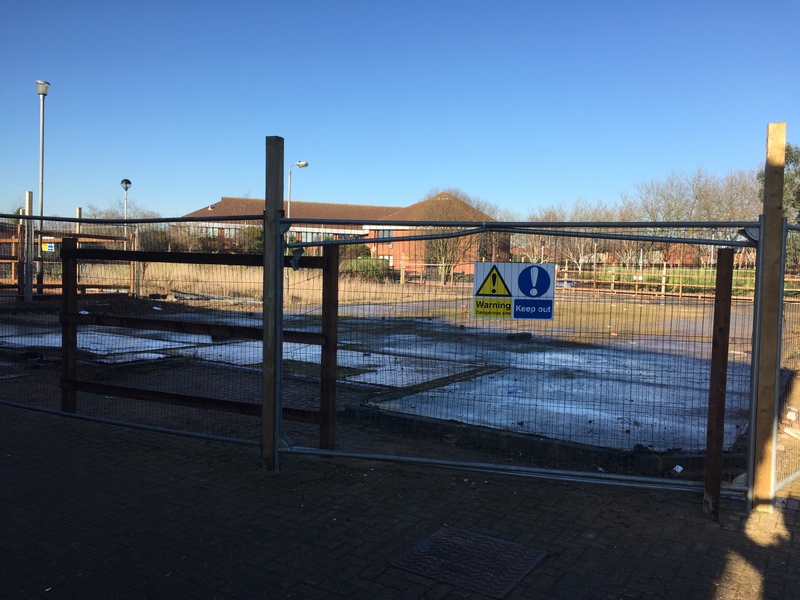 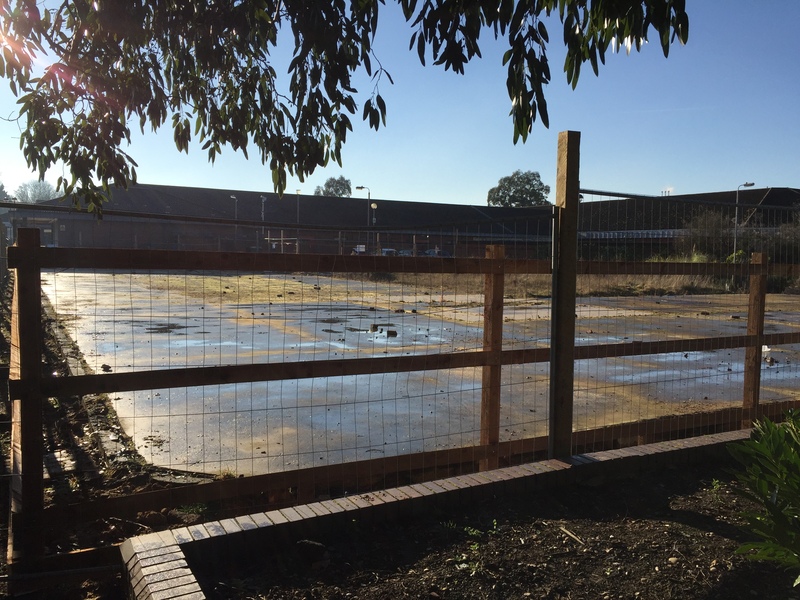 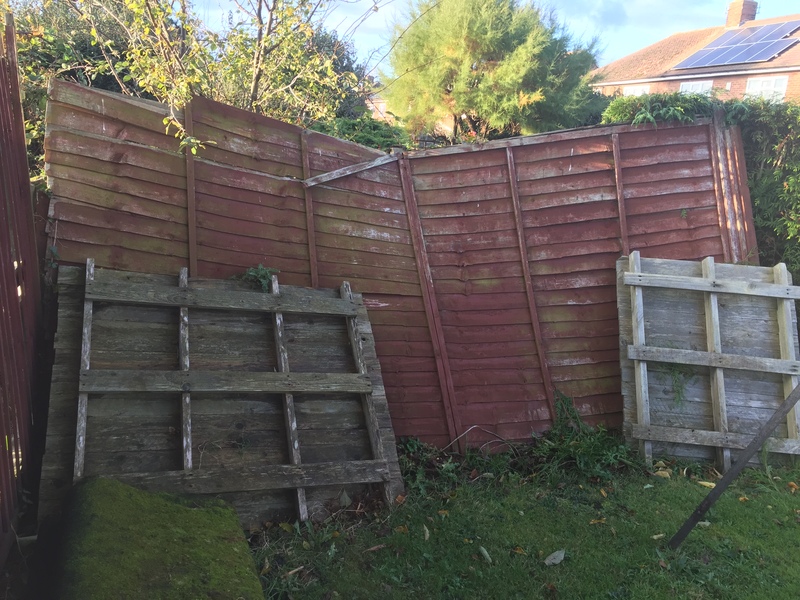 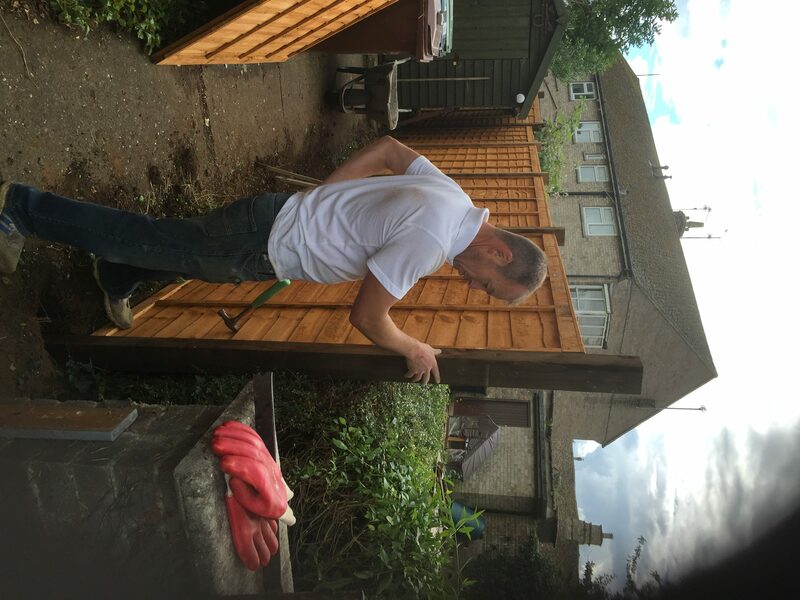 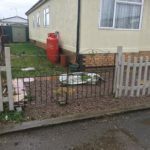 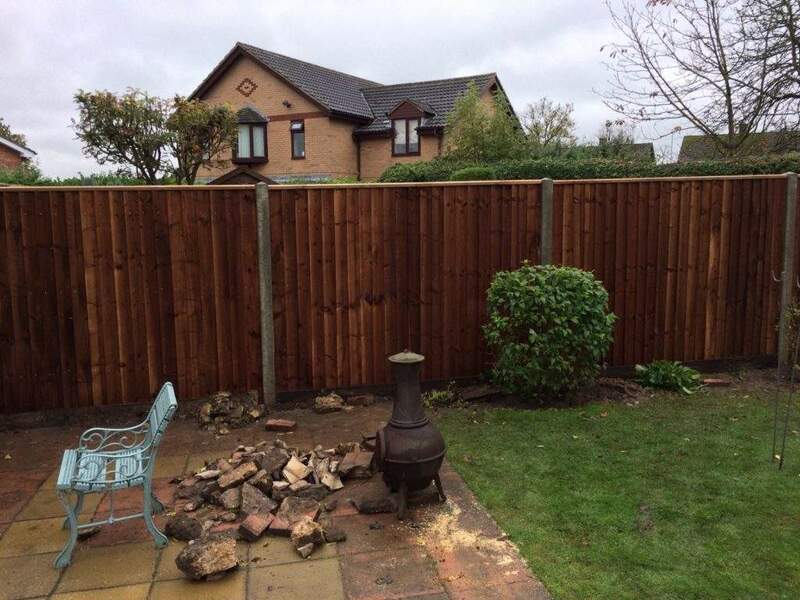 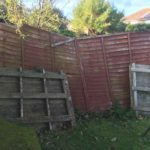 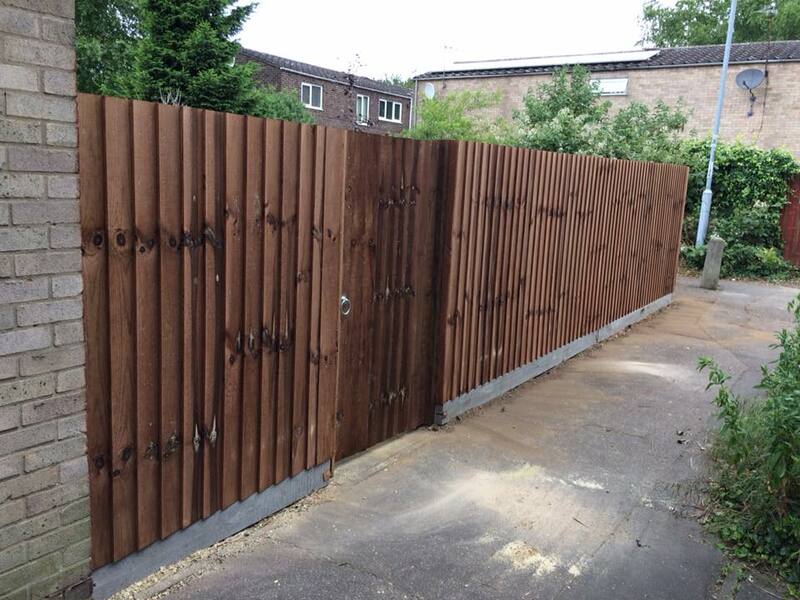 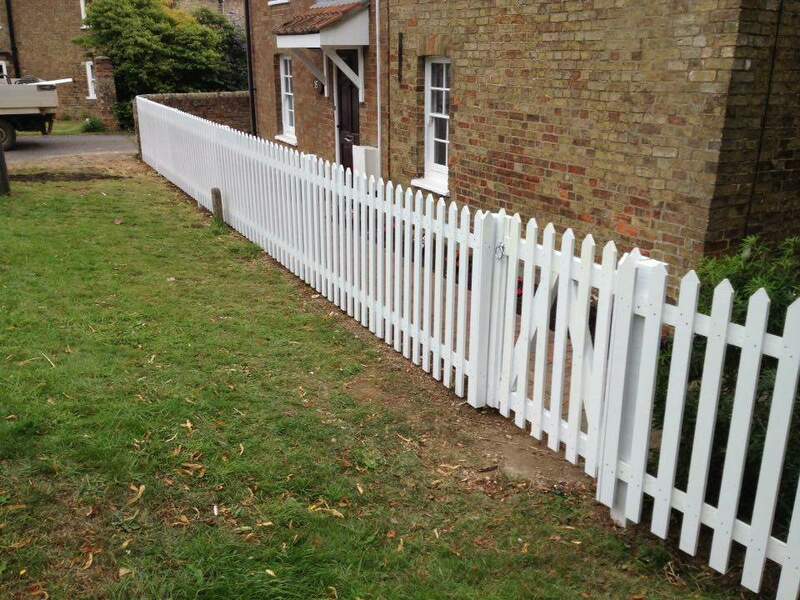 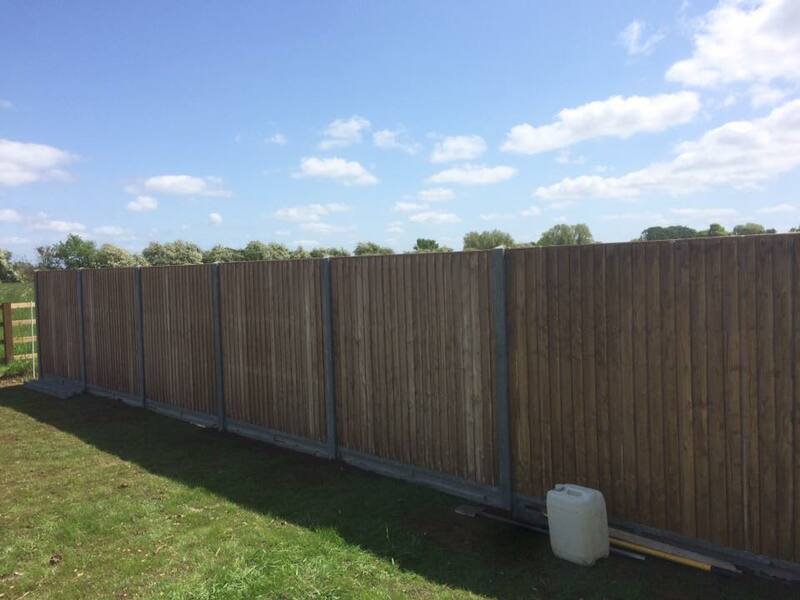 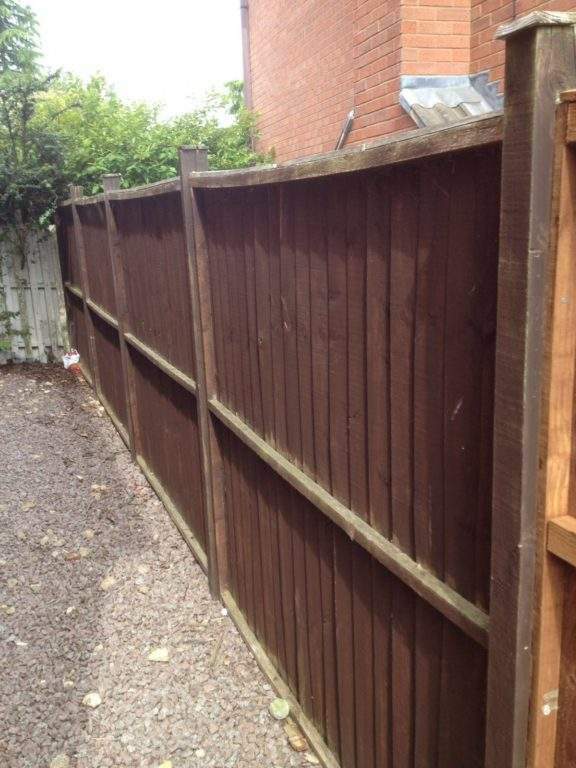 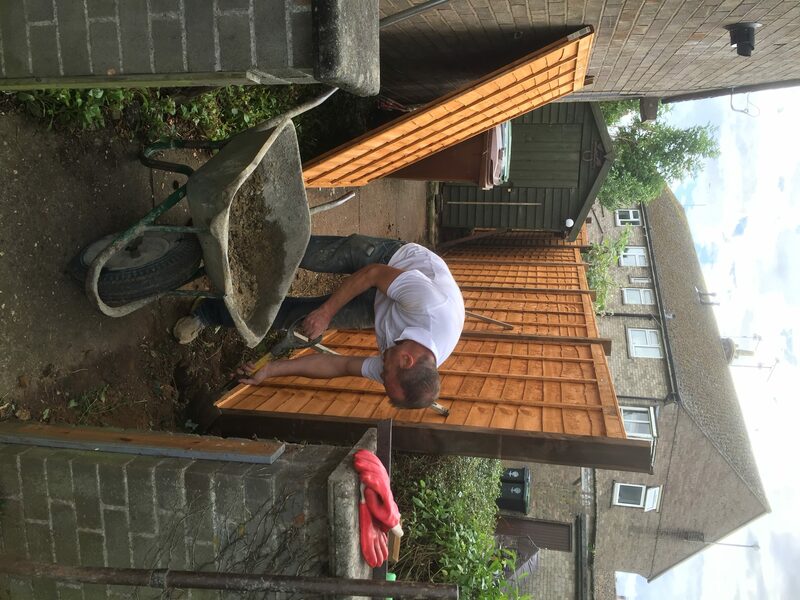 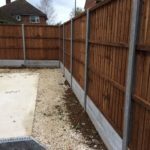 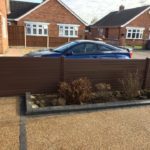 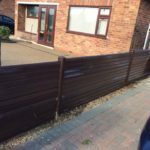 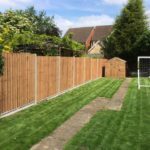 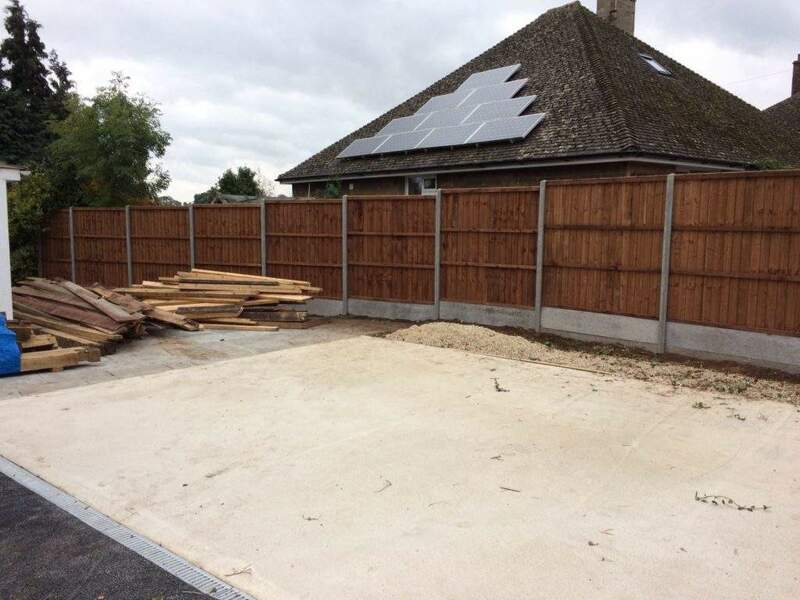 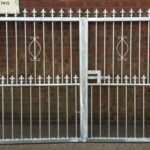 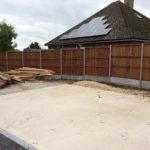 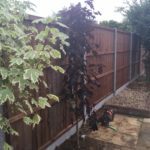 Peterborough Improvements fencing company offer a wide selection of fencing services in Peterborough and surrounding areas, both home and commercial all at extremely competitive prices. 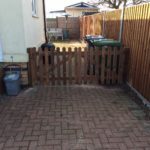 As a locally run business in Peterborough we have built up a name you can trust, not only to get the job done and get it done right, but to make sure it is done on time and for a fair price. 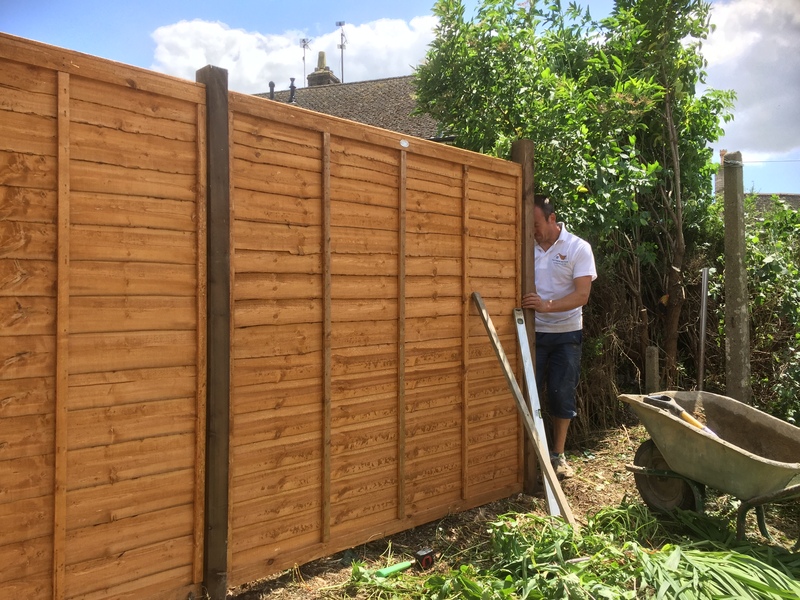 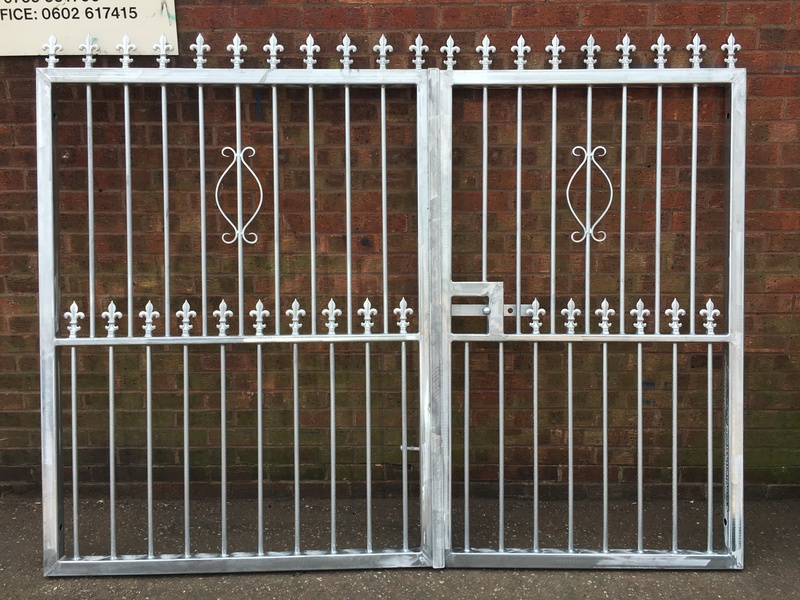 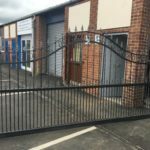 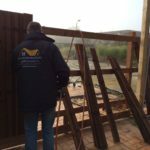 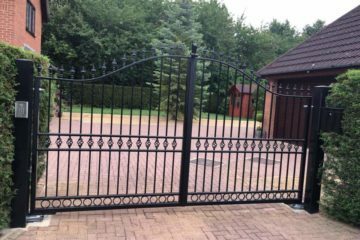 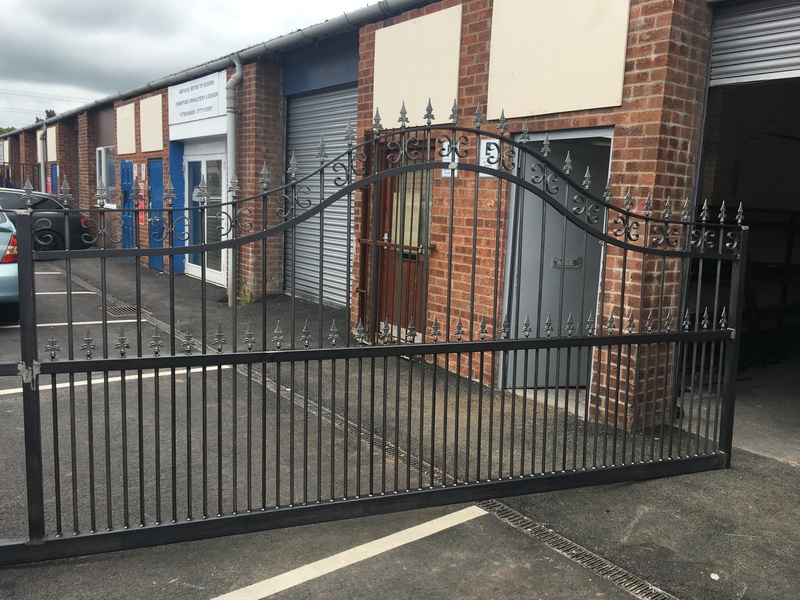 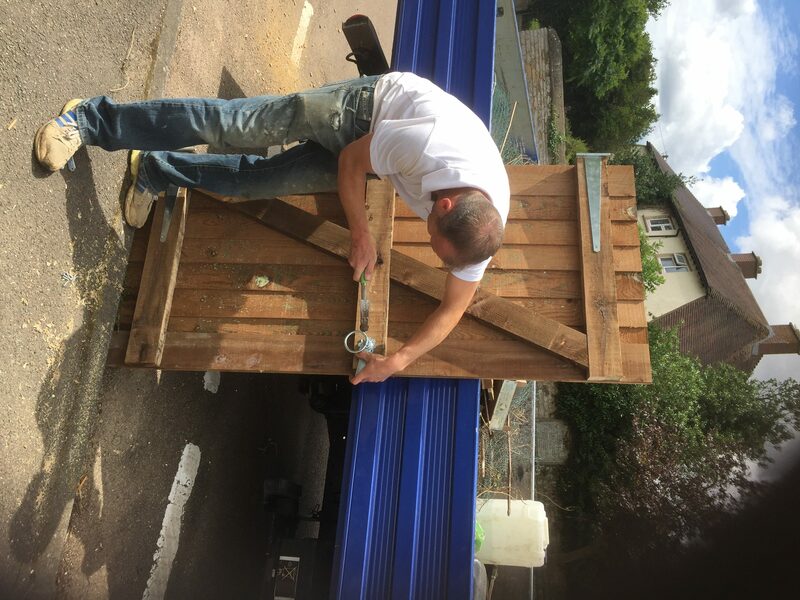 Using our professional knowledge we'll take care of all your fencing and gate requirements and ensure your project is managed efficiently and on schedule. 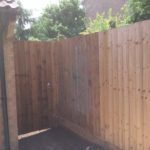 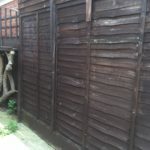 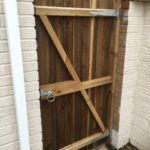 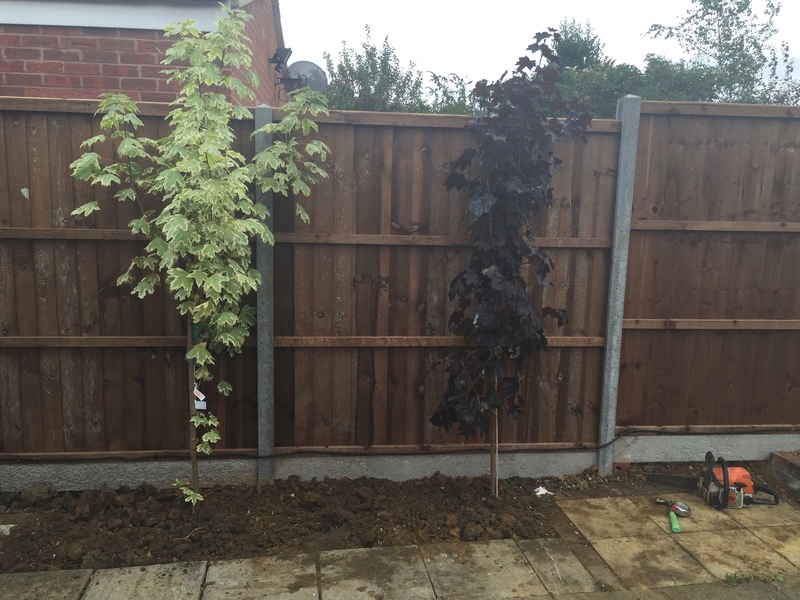 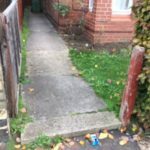 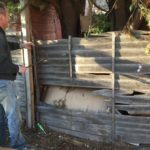 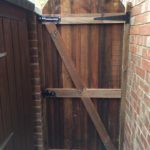 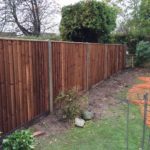 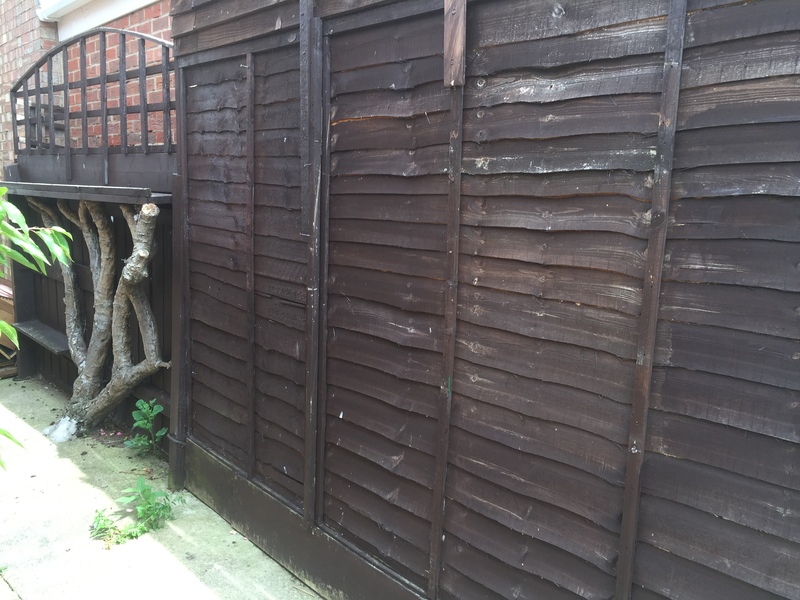 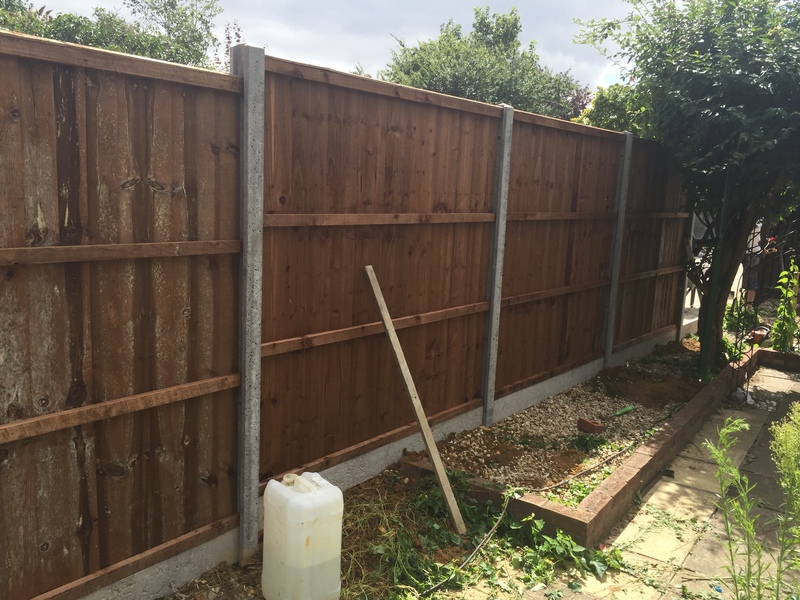 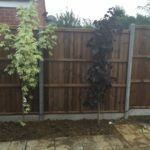 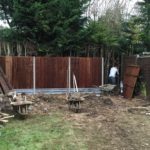 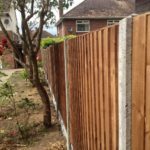 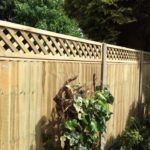 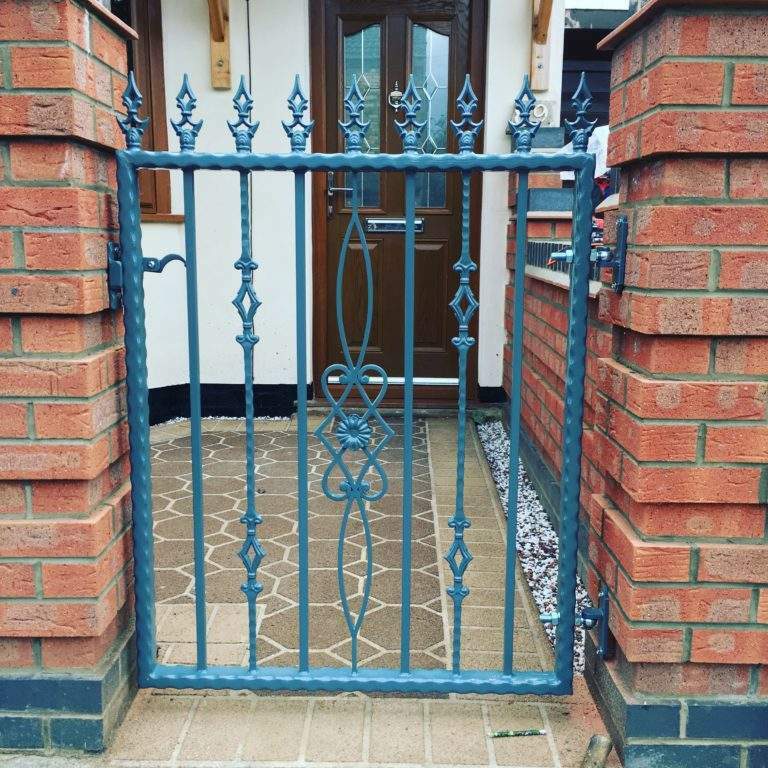 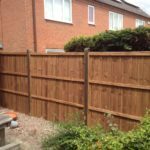 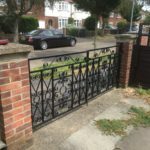 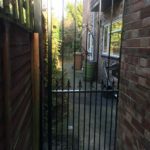 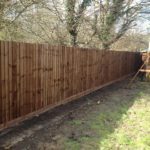 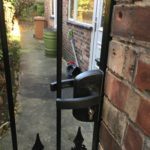 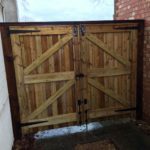 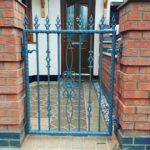 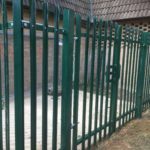 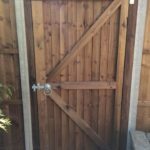 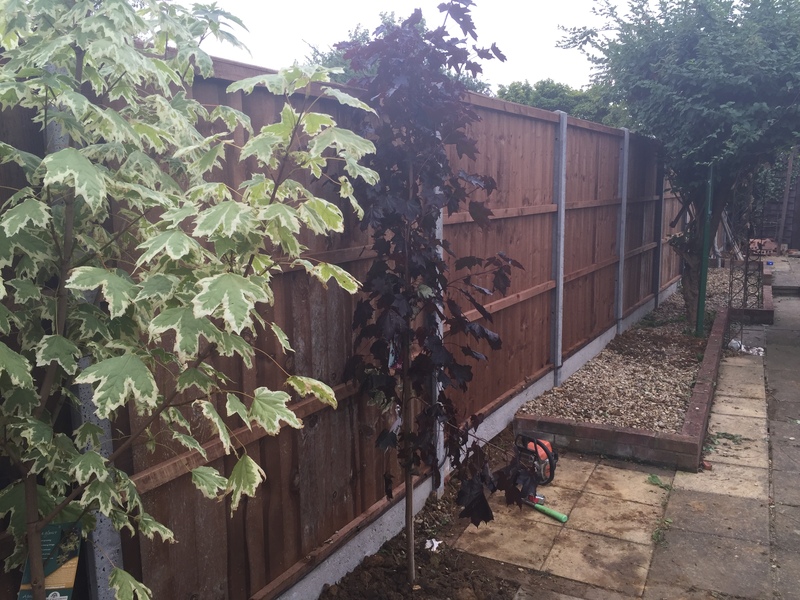 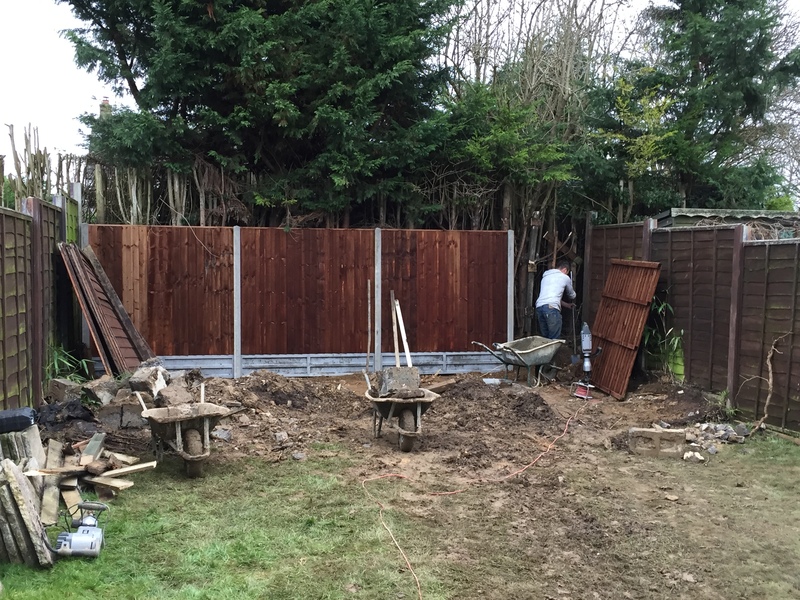 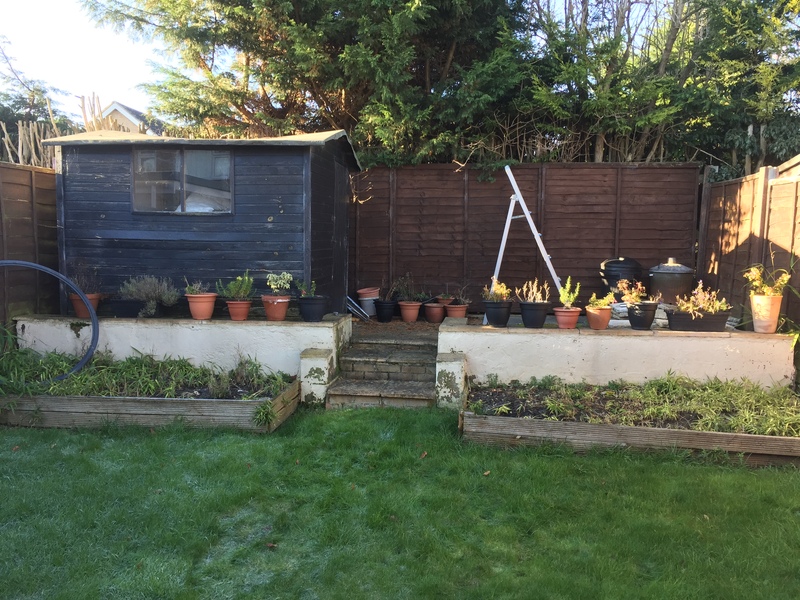 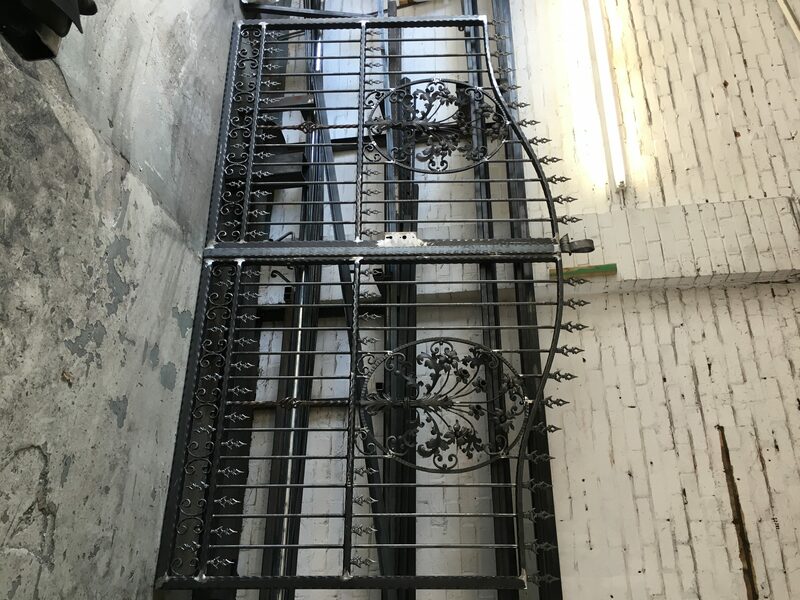 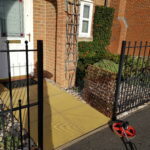 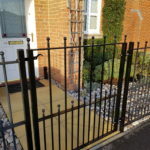 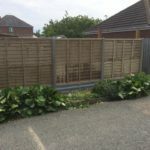 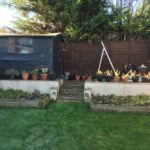 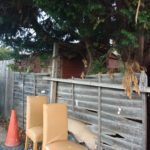 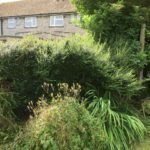 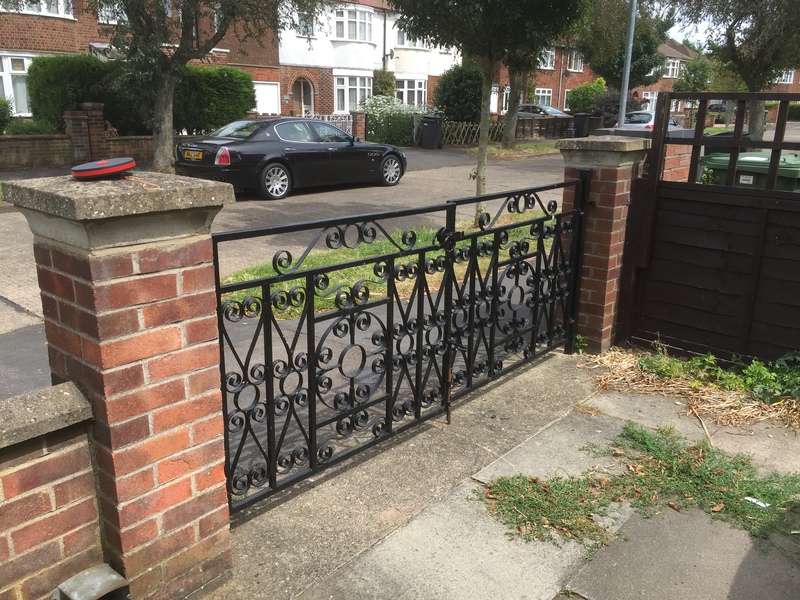 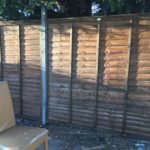 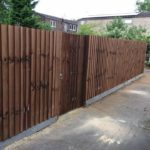 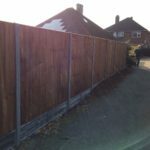 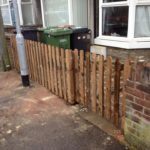 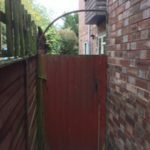 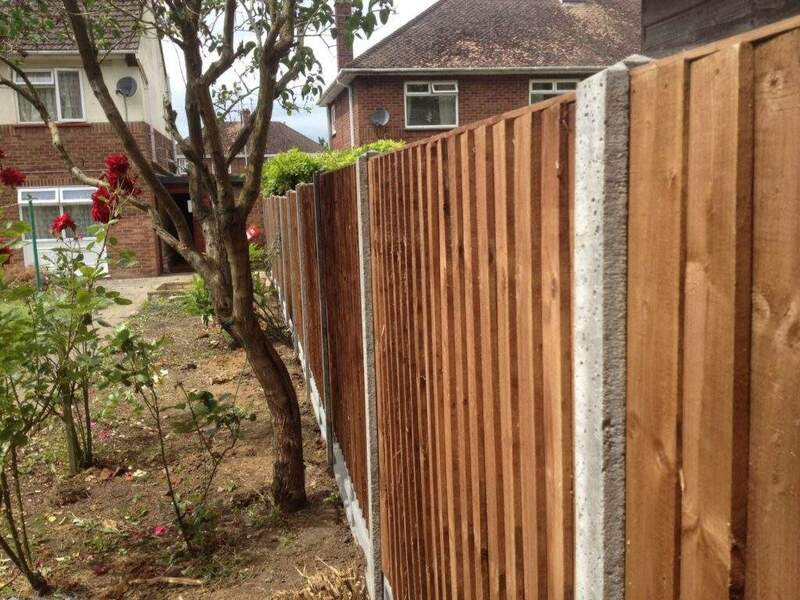 Below you will find some examples of previously completed projects and to the right further information about some of the different the types of fencing we can install or repair for you. 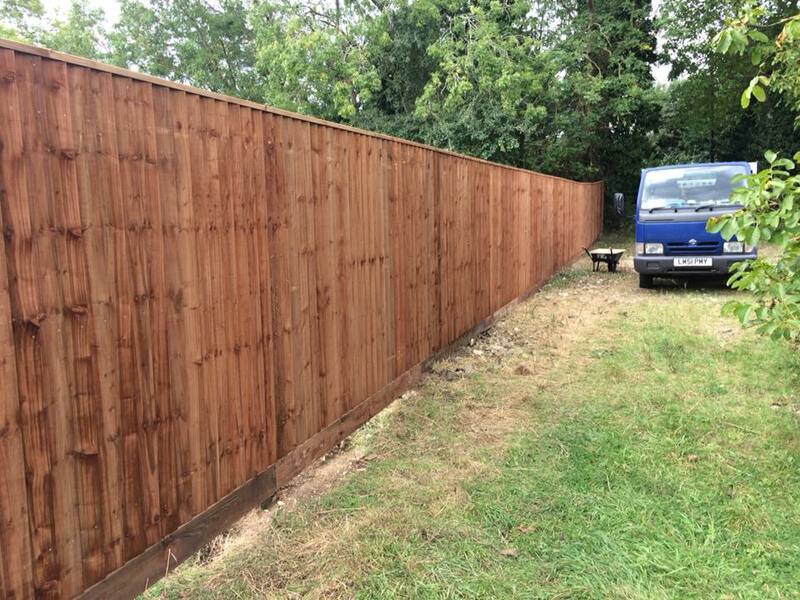 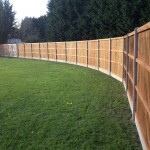 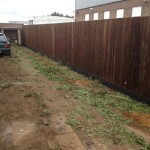 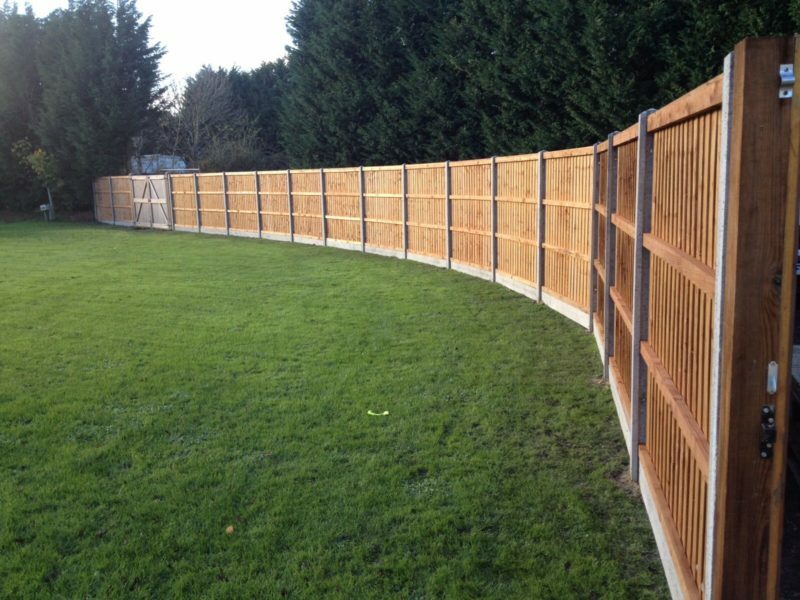 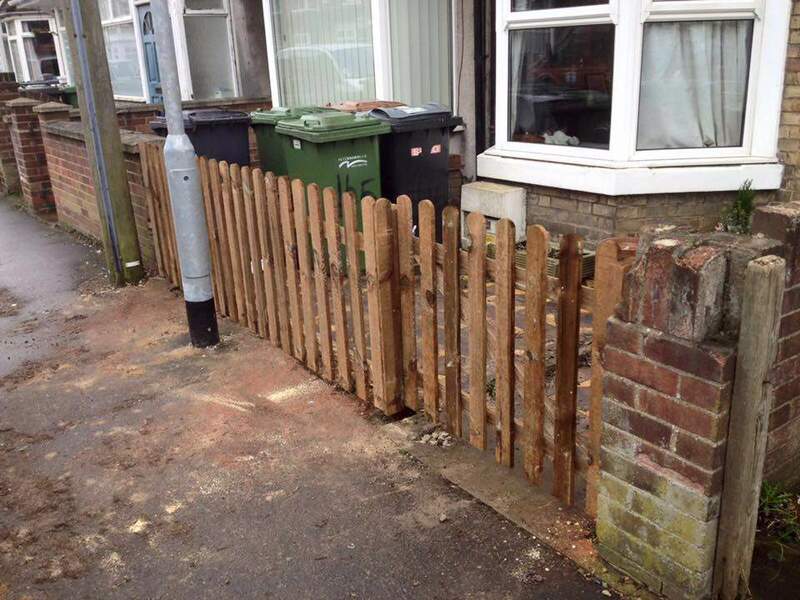 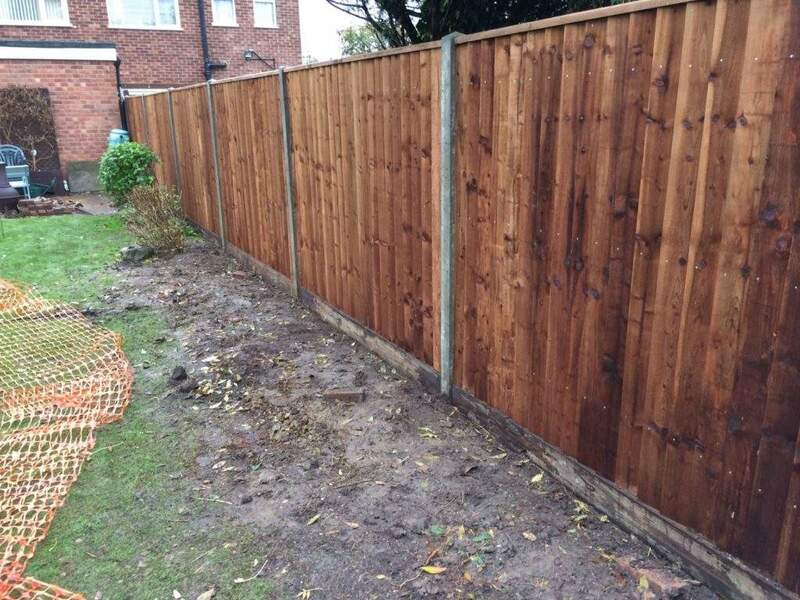 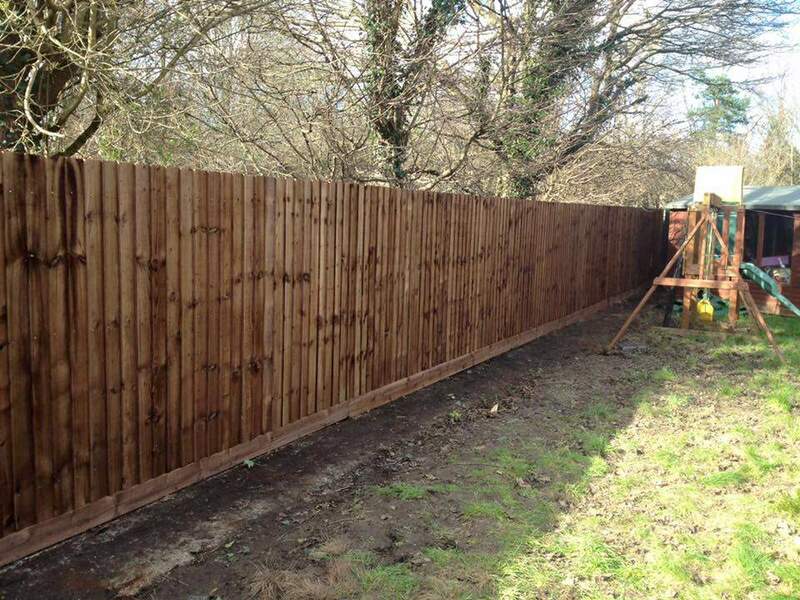 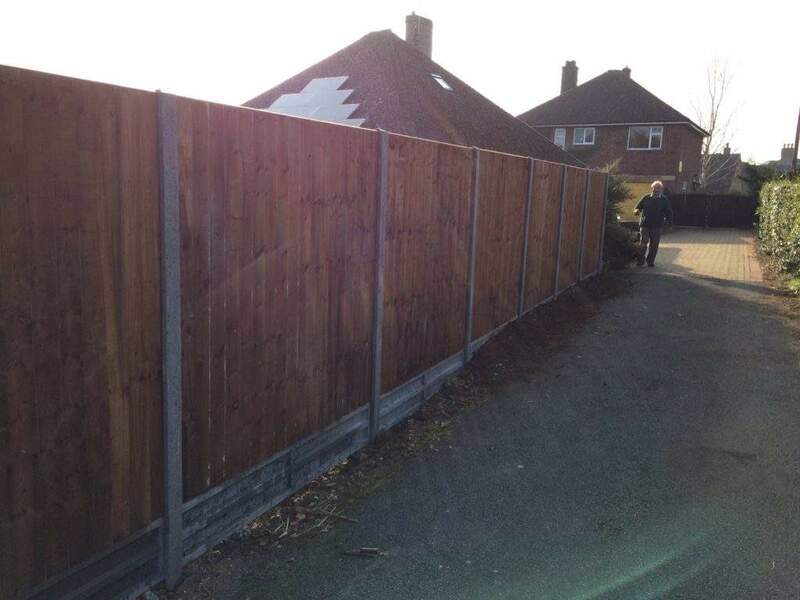 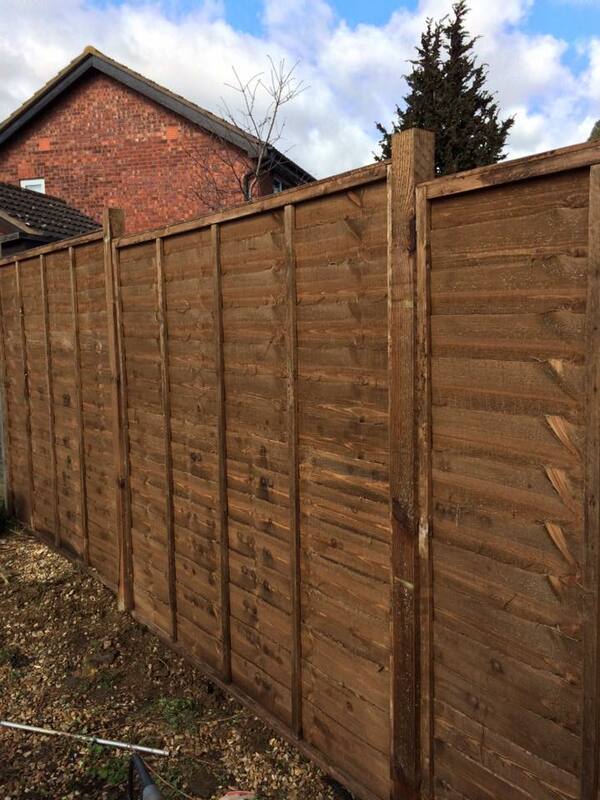 Our fencing contractors can professionally install all types of fencing both wooden and metal, home and commercial. 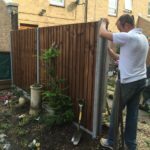 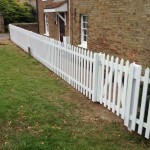 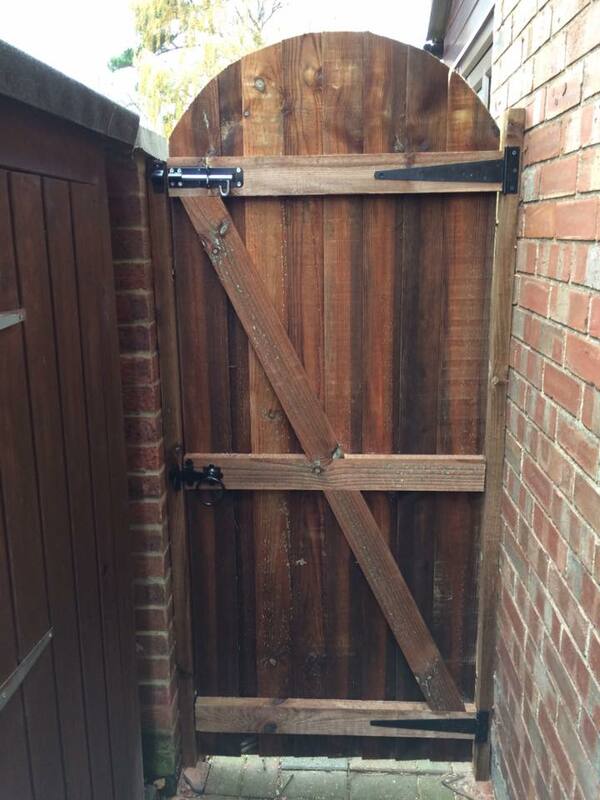 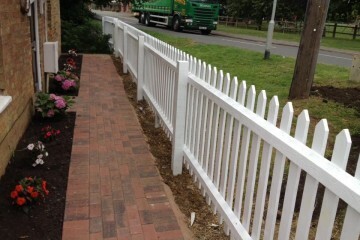 Would you like a FREE quotation to fit a new fence, gate or for some repair work? 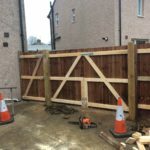 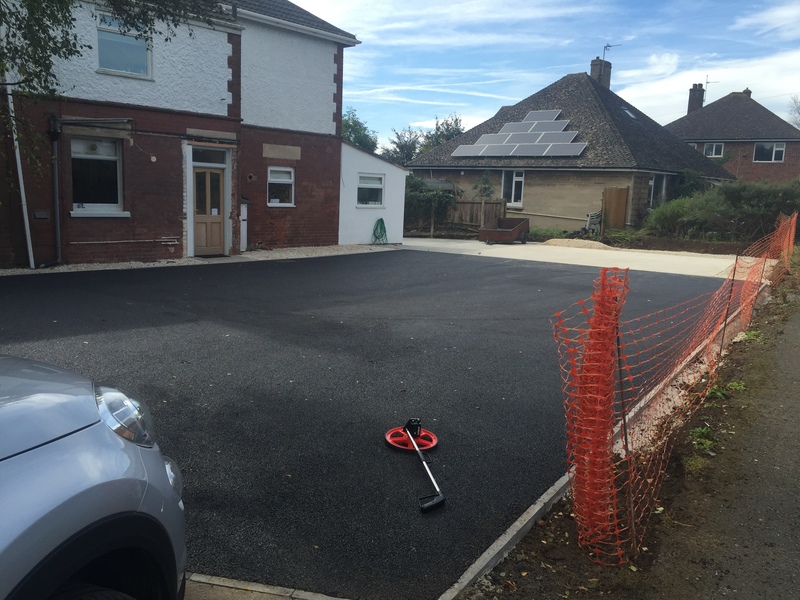 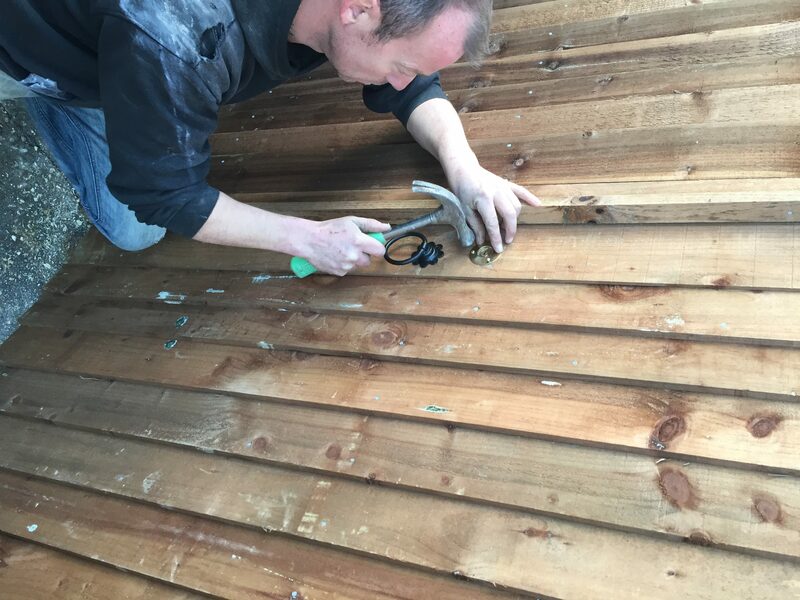 Firstly we carry out a site visit where we can introduce ourselves, understand exactly what work it is you require and give you any advice we can in relation to your project. 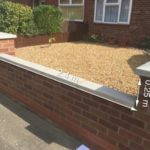 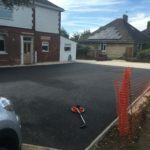 We will take measurements and in images so we can provide you with a free no obligation professional quotation with the measurements and images included. 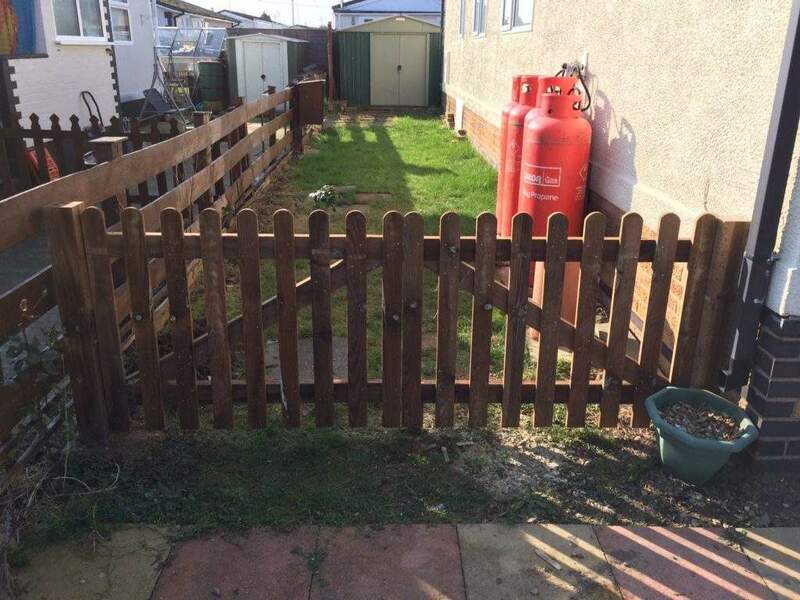 This will be emailed to you within 24 hours but will usually be with you the same day. 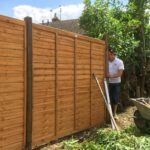 Once agreement has been reached we will arrange with you the most convenient time for us to come and install your new fence. 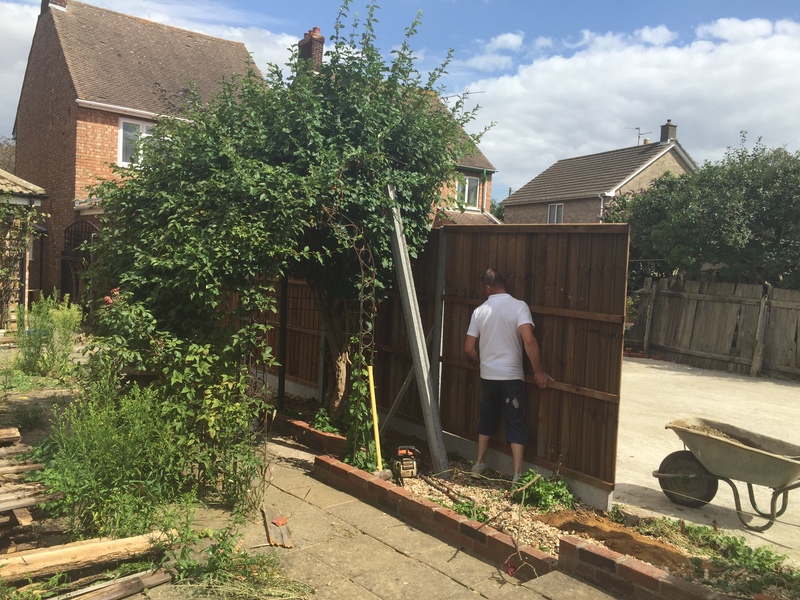 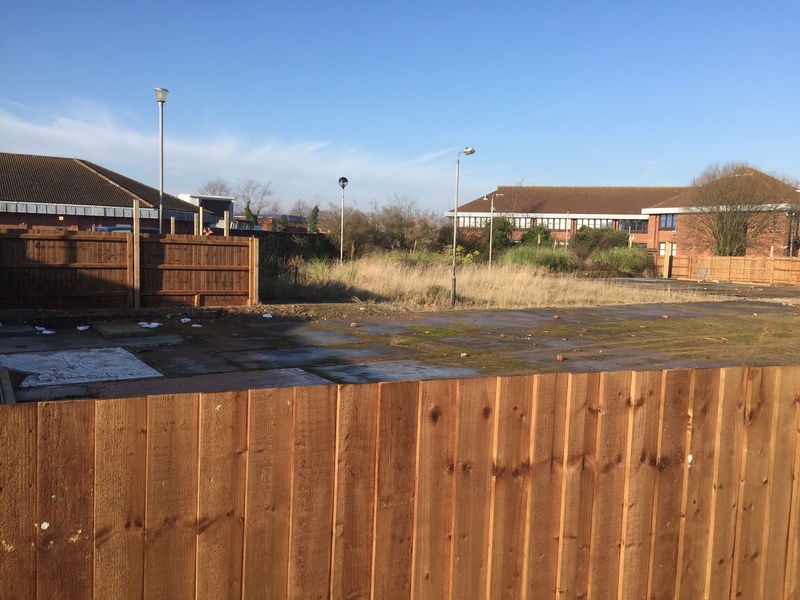 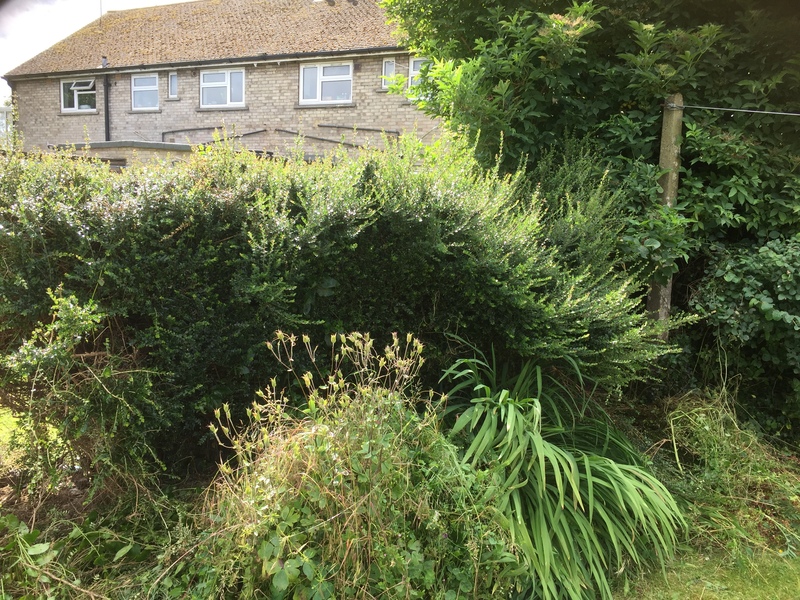 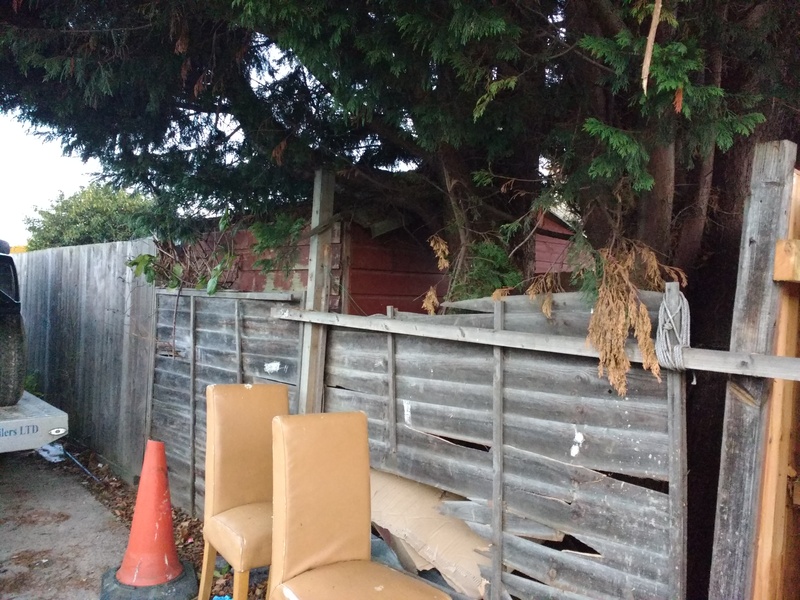 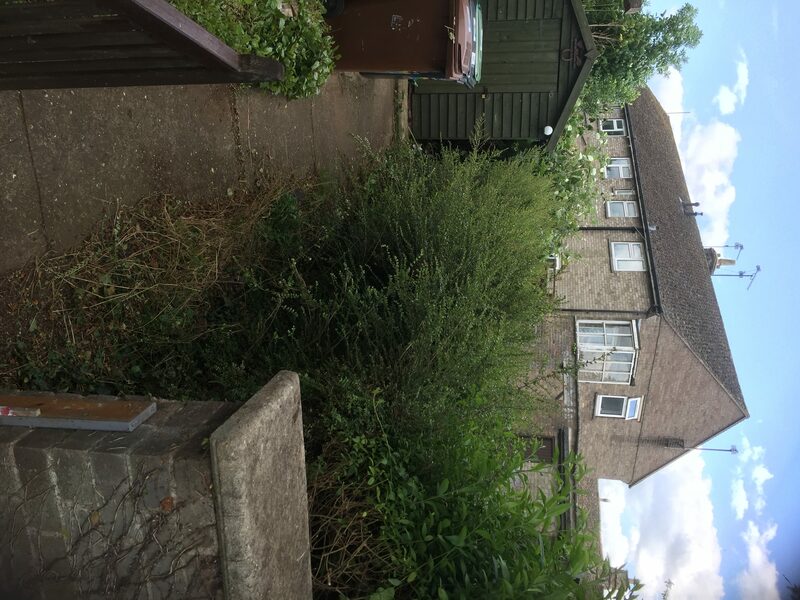 The project will start with us removing any old fencing, shrubs etc and preparing the area for install. 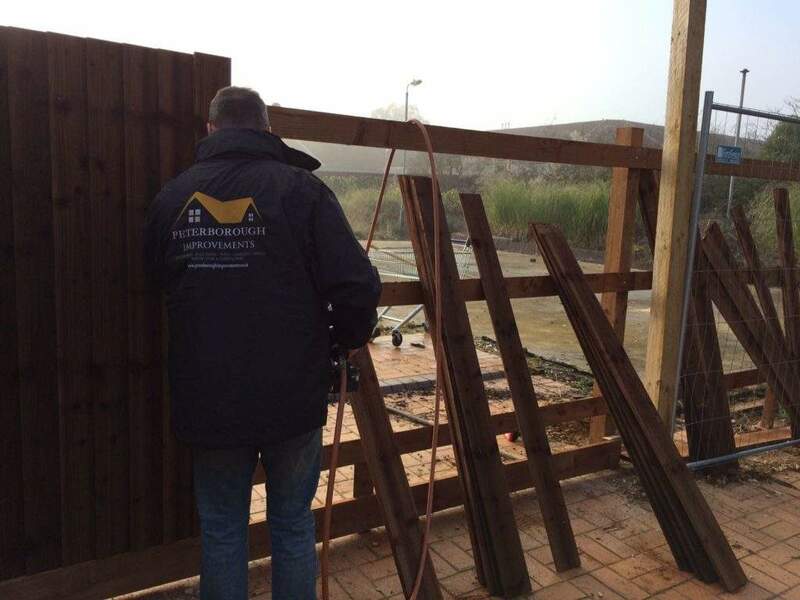 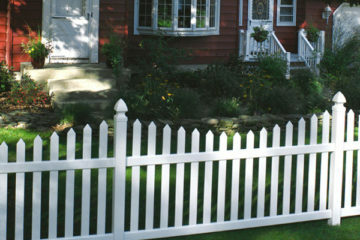 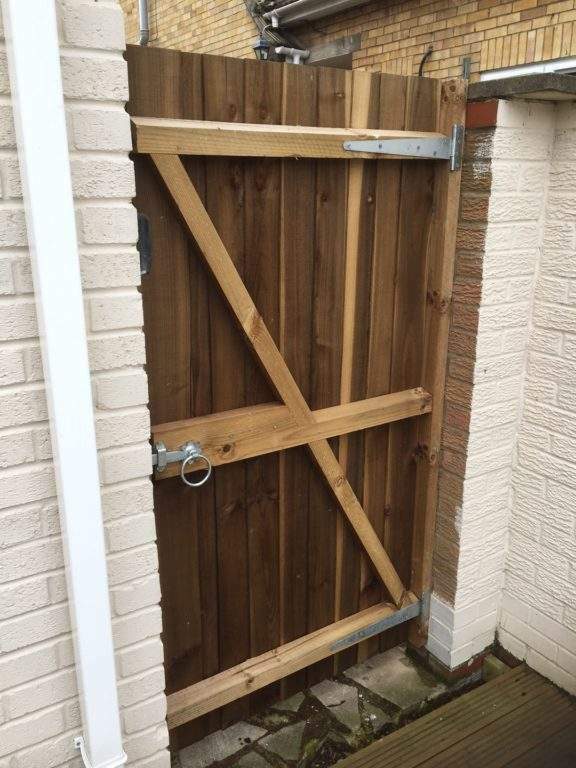 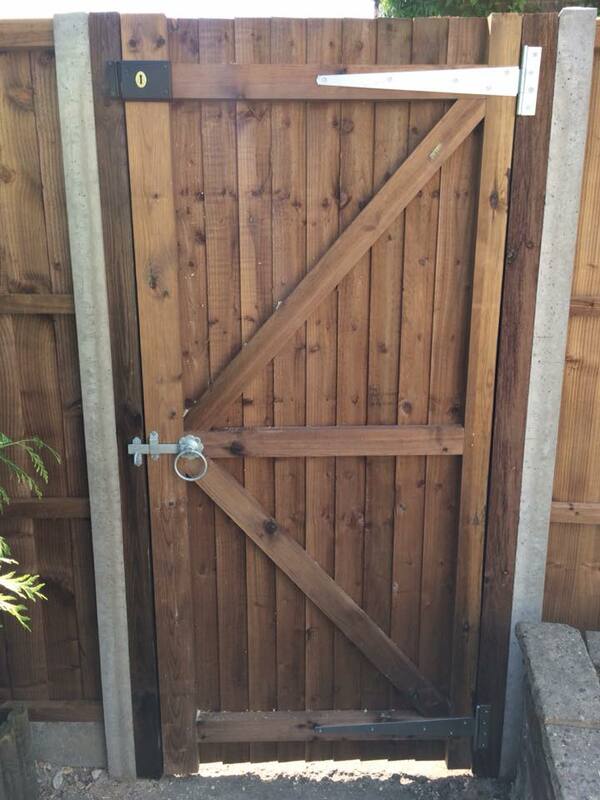 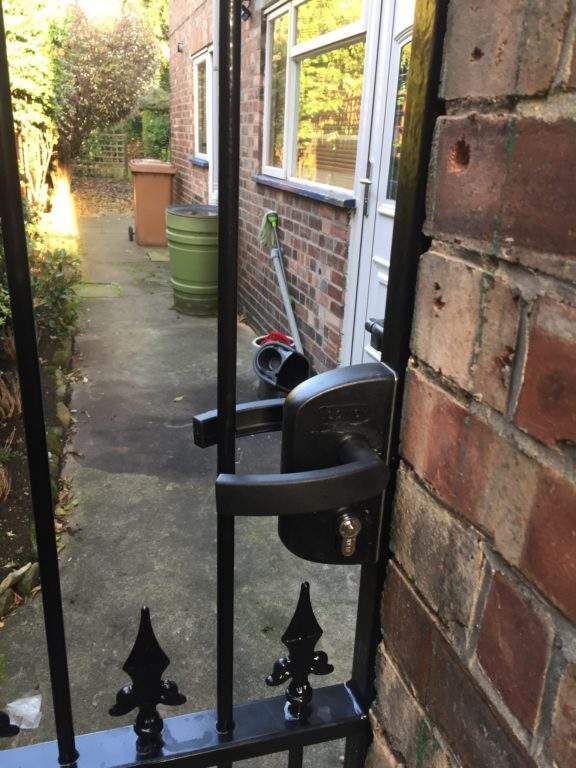 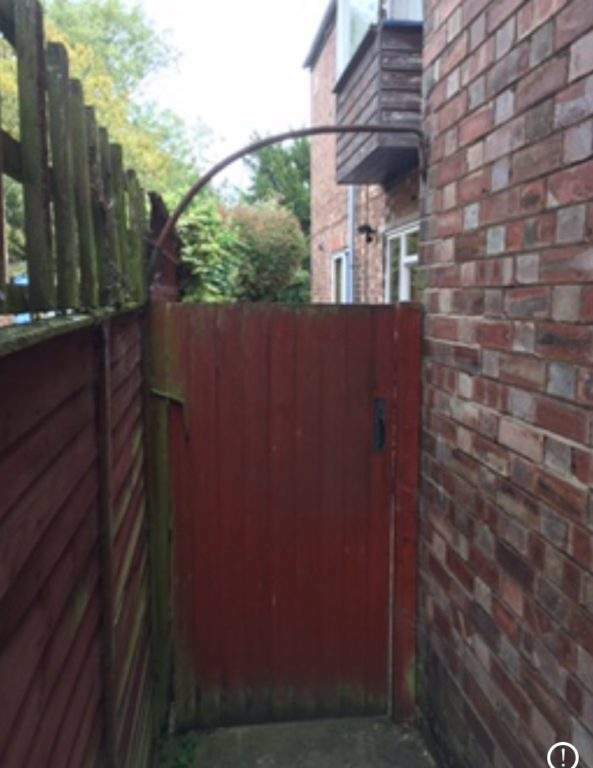 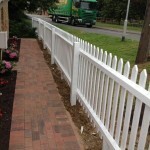 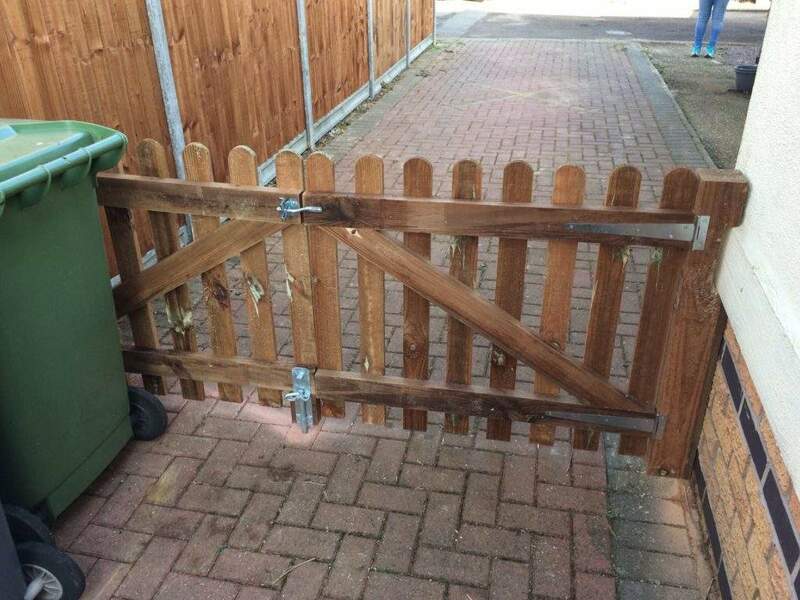 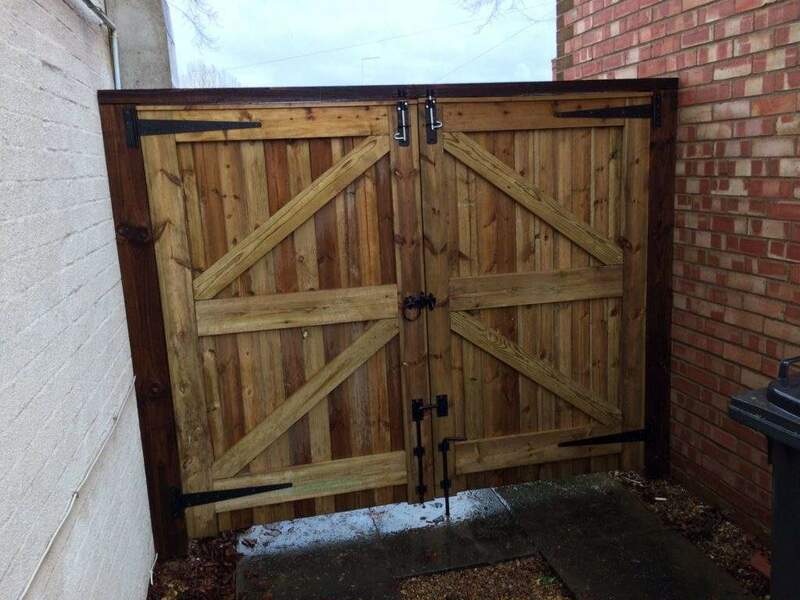 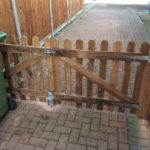 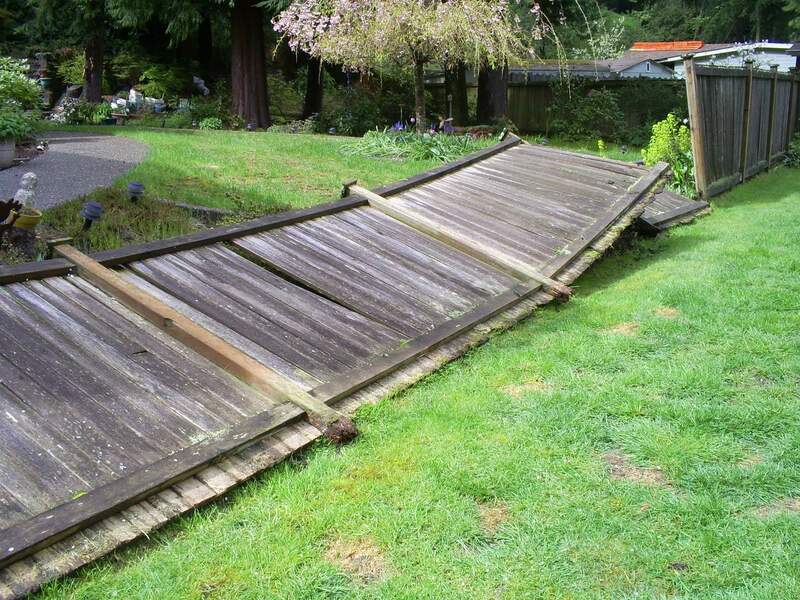 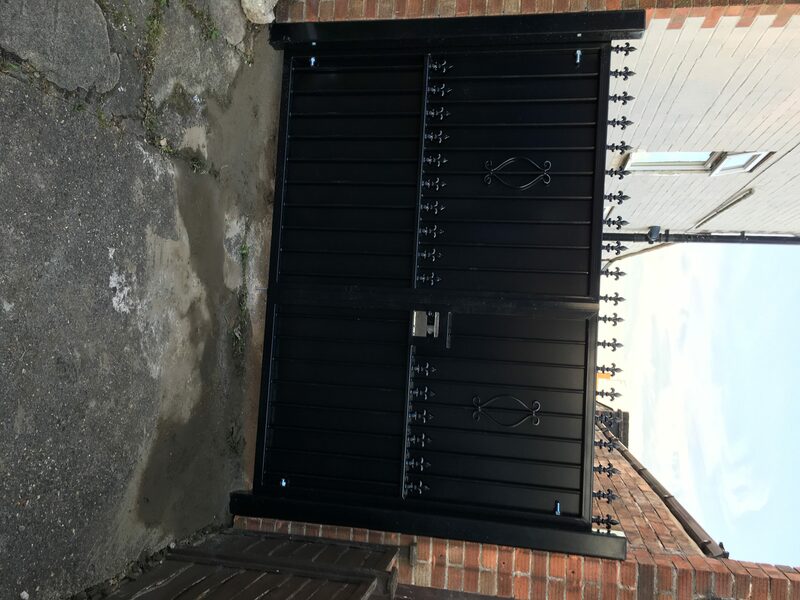 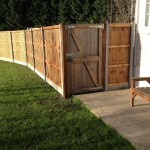 Once this has been done we will begin the installation of your new fence or gate. 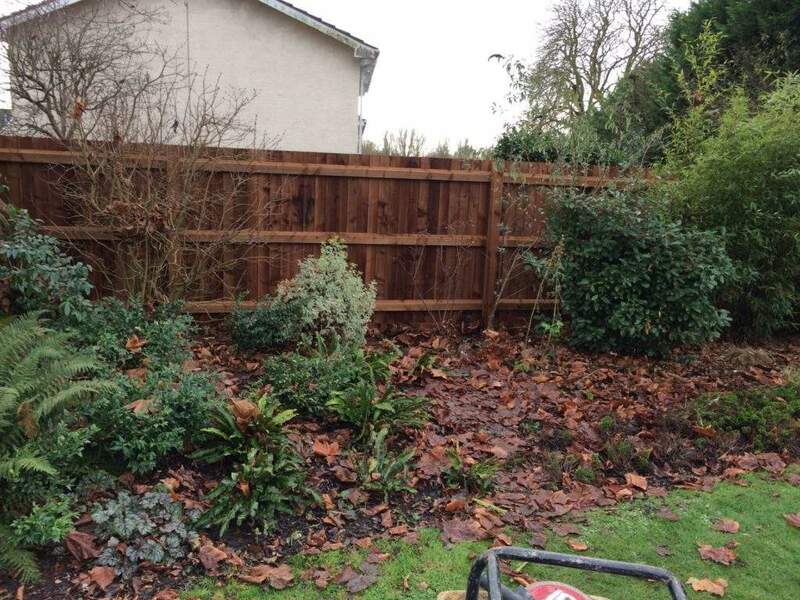 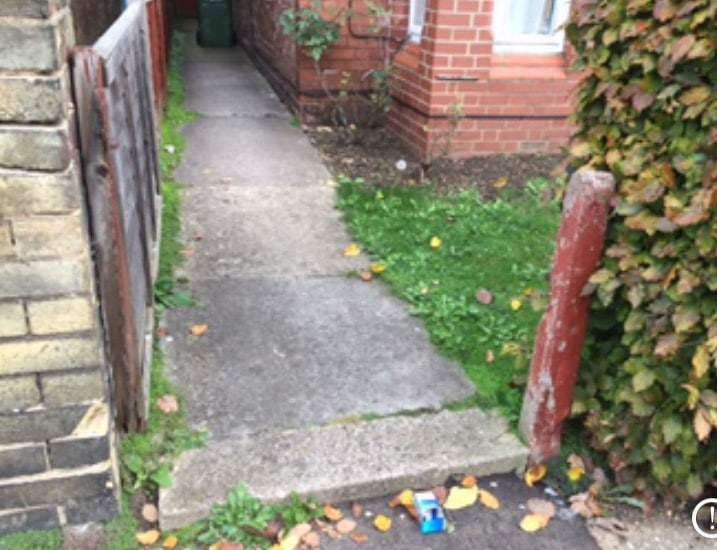 All waste materials will be taken away ensuring your garden is left nice and tidy. 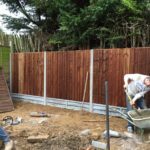 We will provide you with a completed invoice with payment due upon completion of the project and you being completely happy. 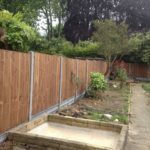 Peterborough fencing contractors - close board fencing services, security fencing contractors, post and rail fencing (agricultural, equestrian) services, play area fencing (pencil fencing / playtime fencing) and landscaping garden trellis, archways,decking, sheds, courtyard gates, entrance gates, garden gates, driveway gates, wrought iron gates , overlap fencing, waney edge fencing, garden fencing and industrial fencing.